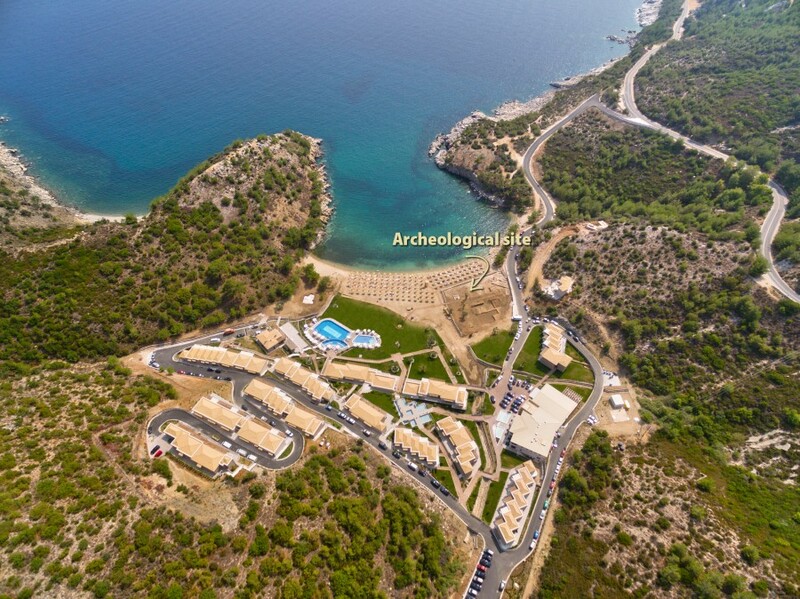 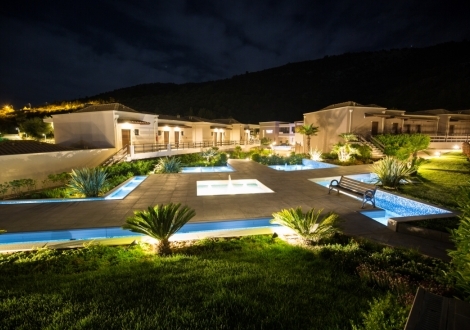 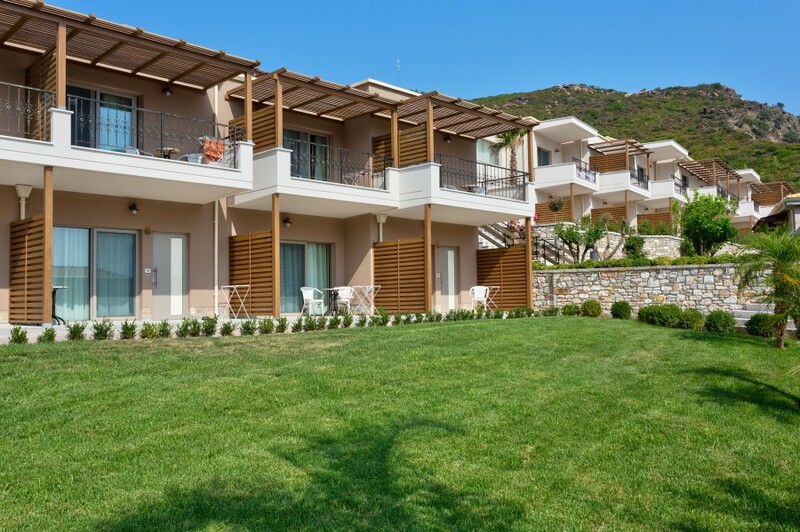 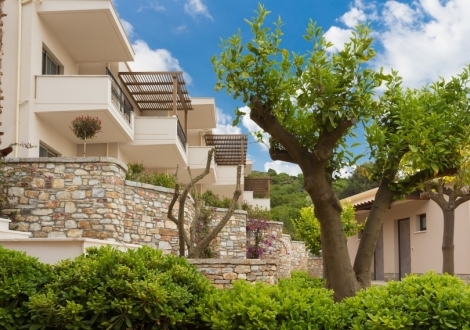 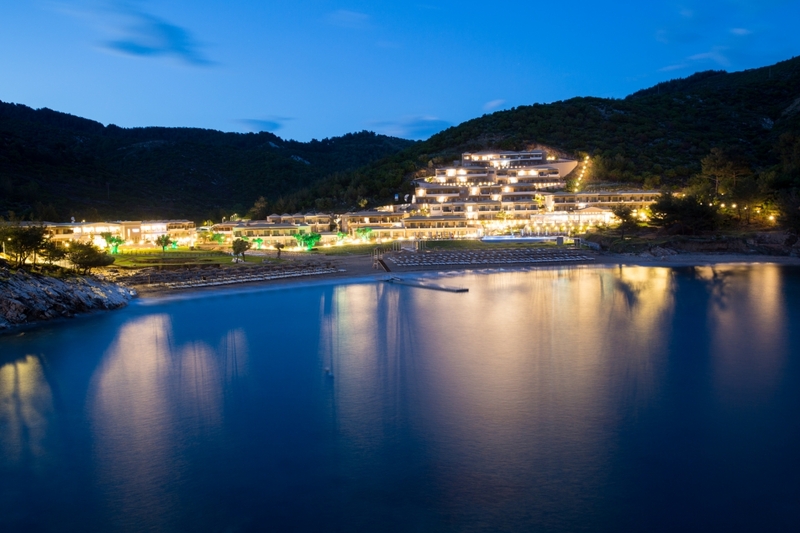 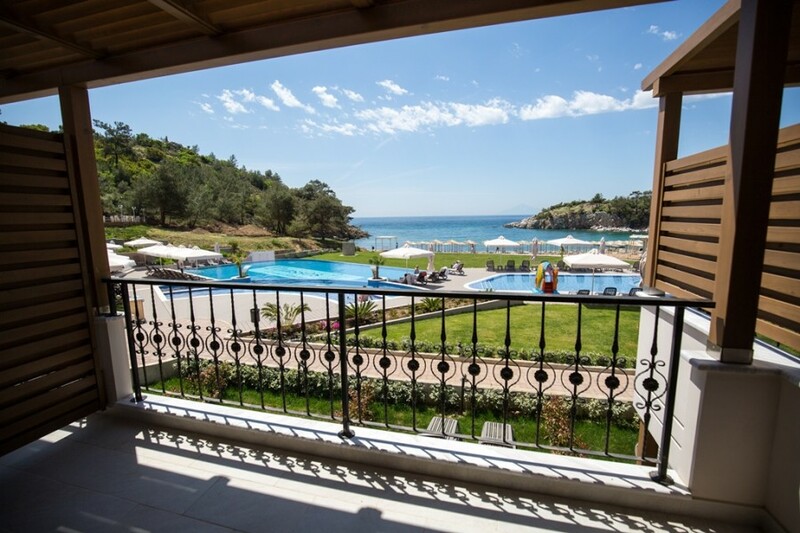 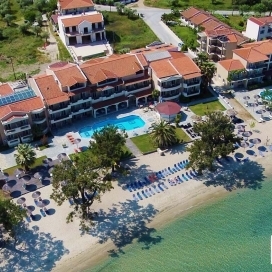 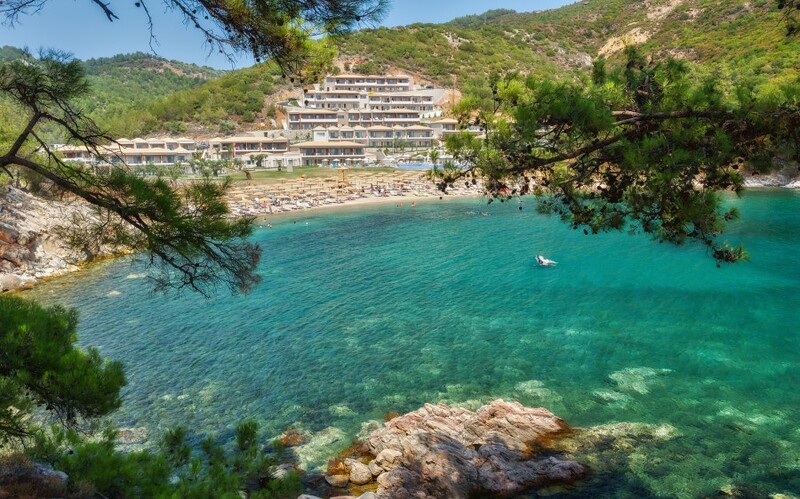 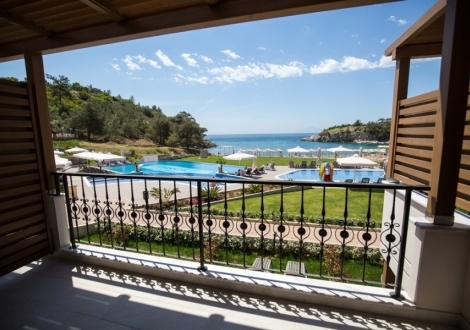 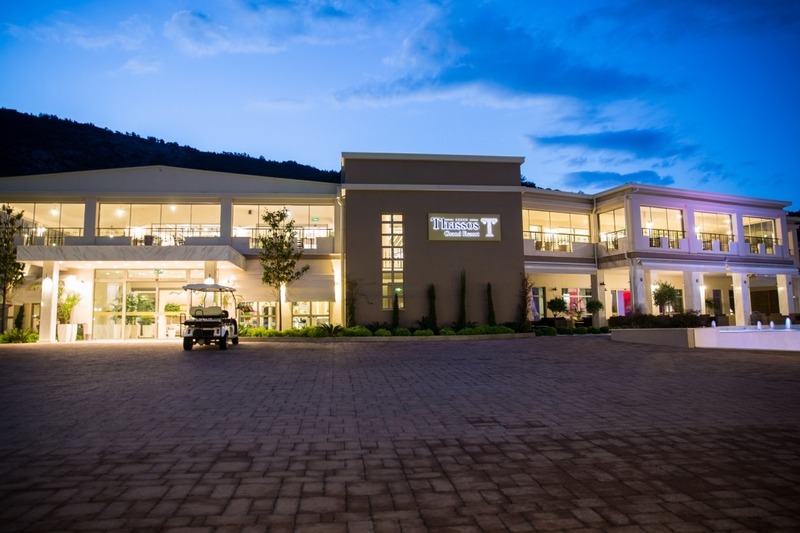 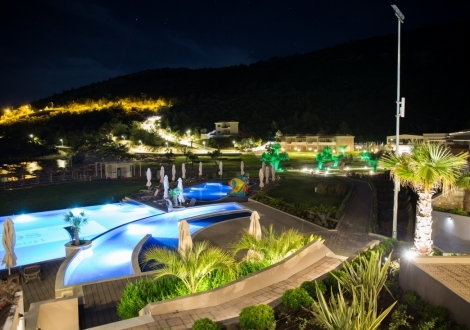 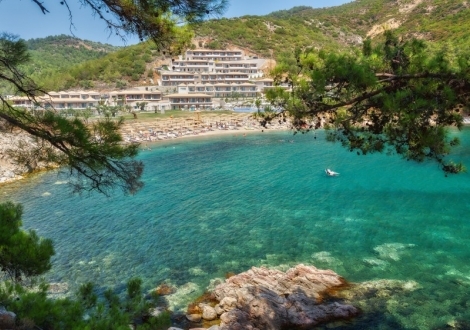 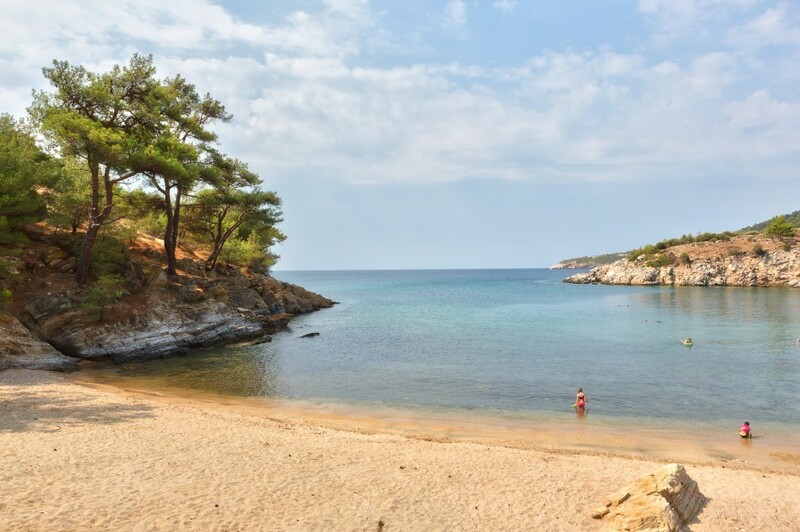 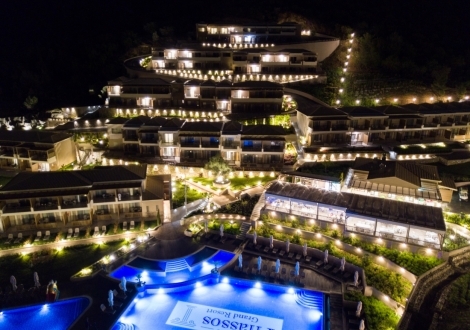 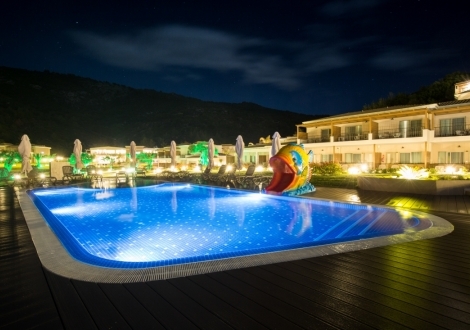 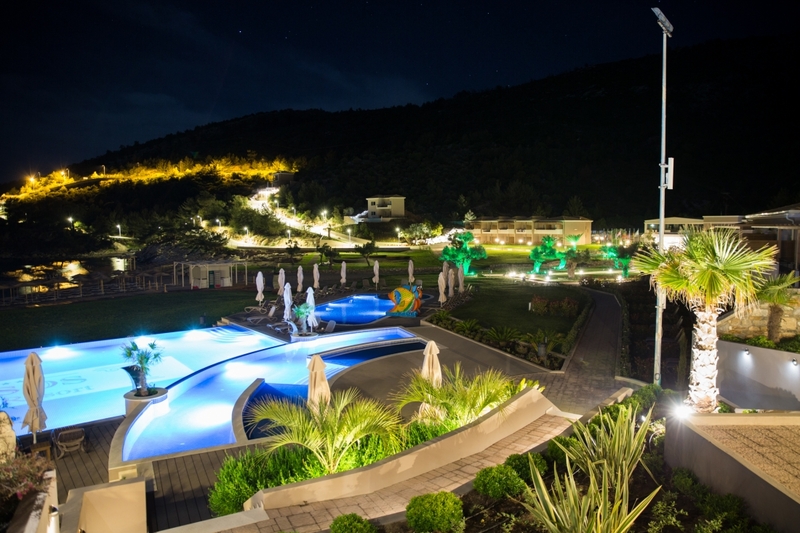 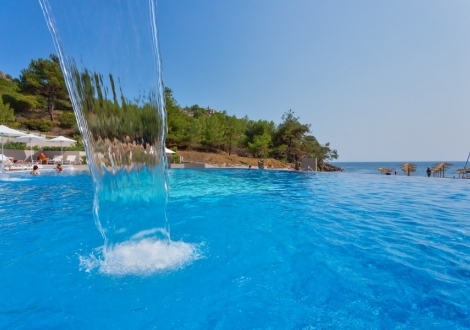 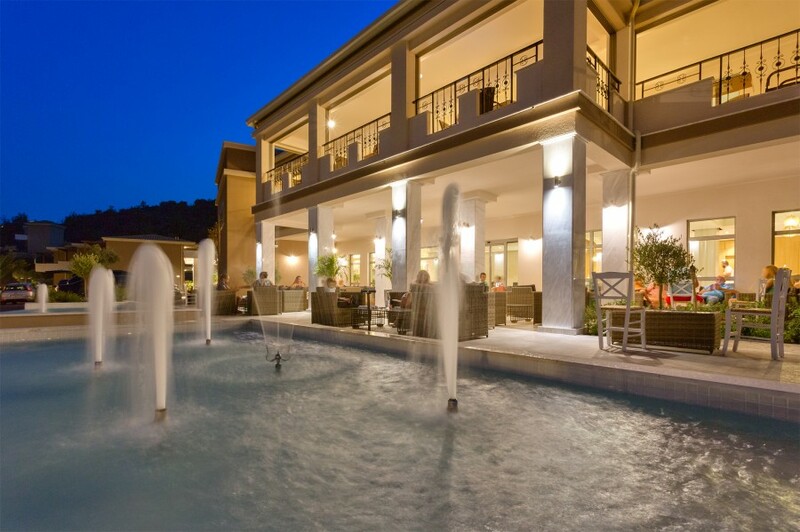 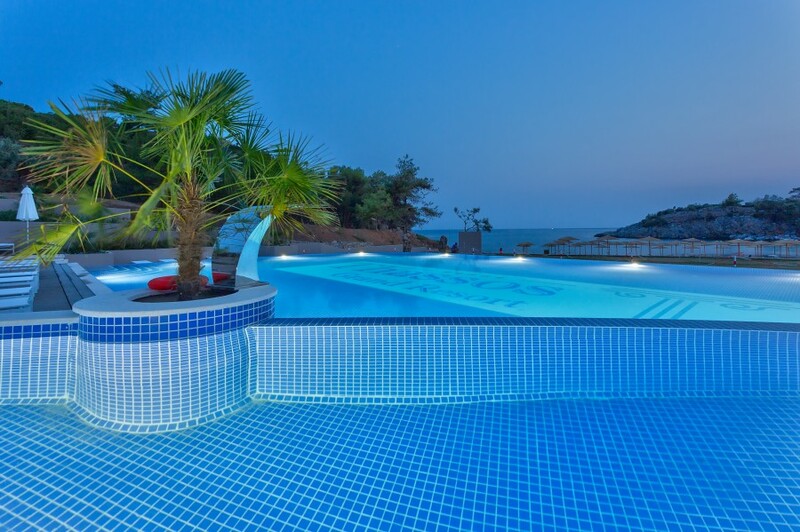 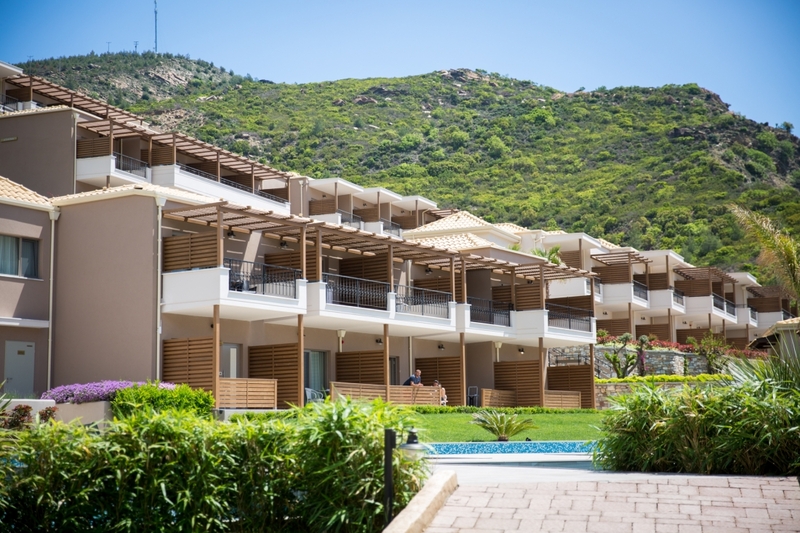 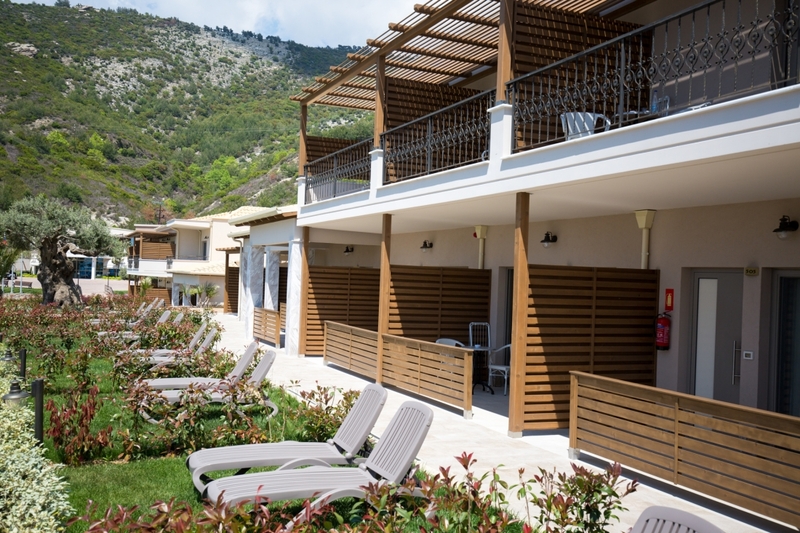 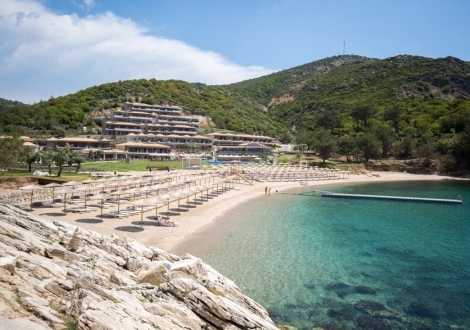 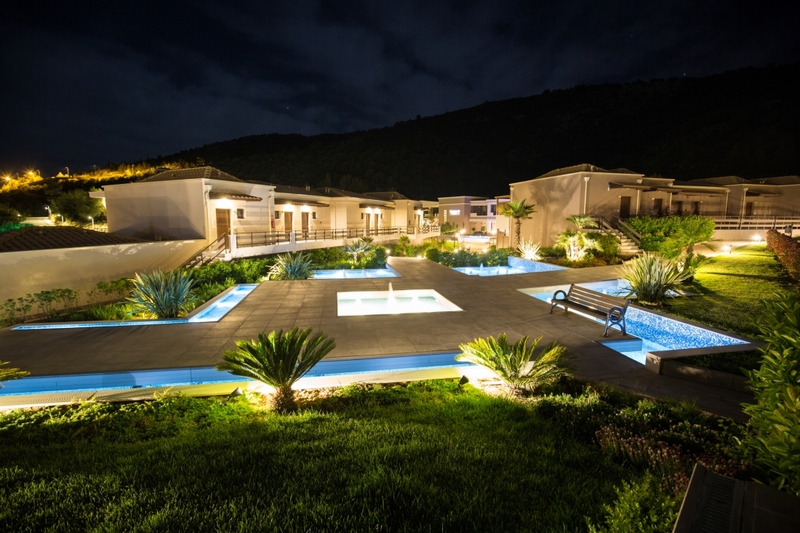 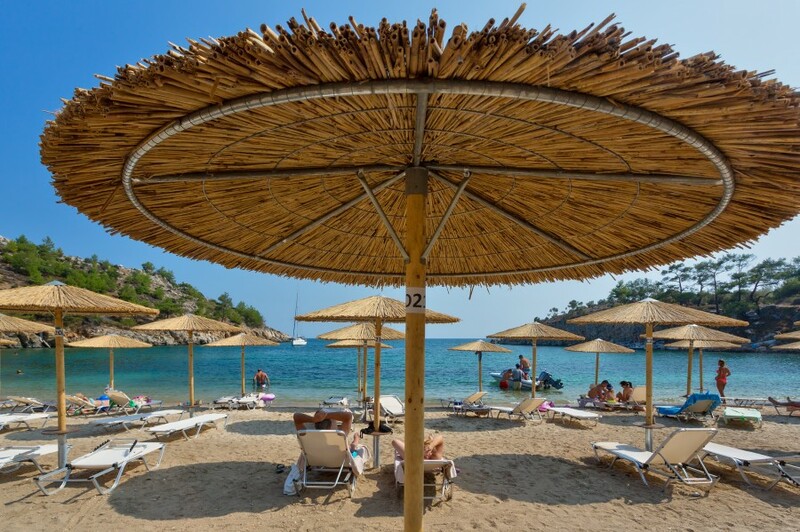 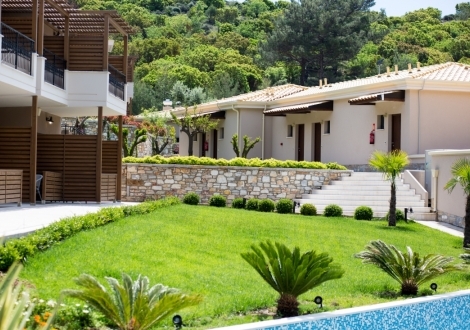 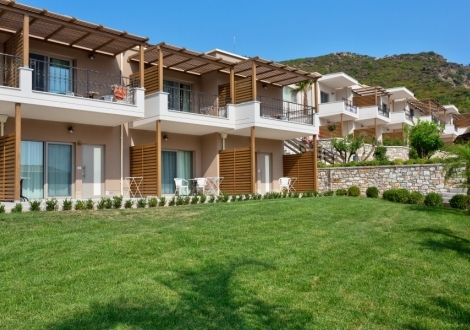 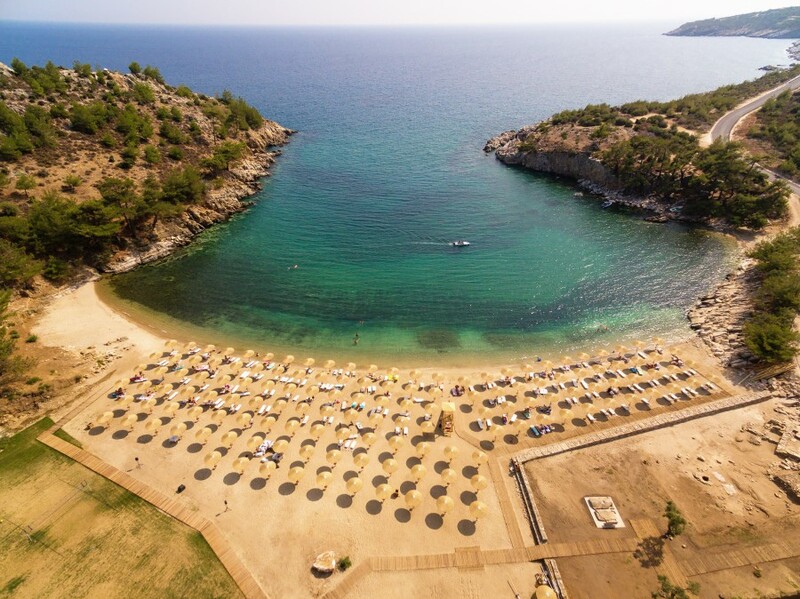 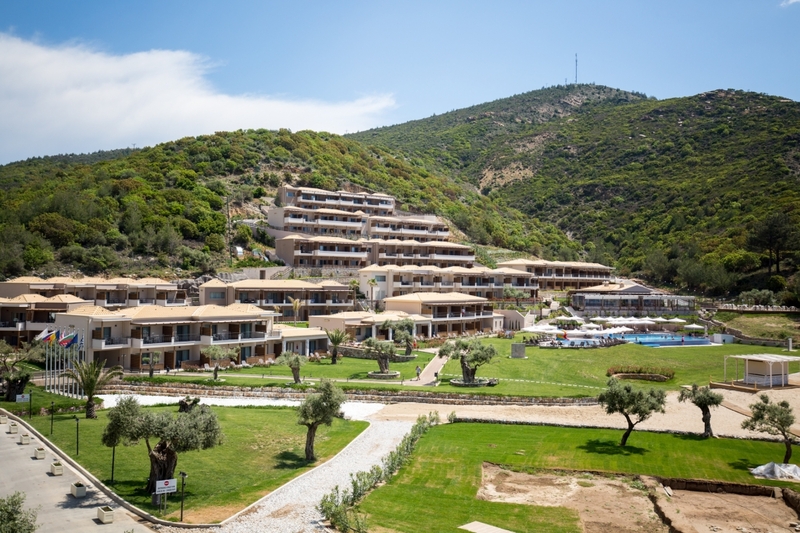 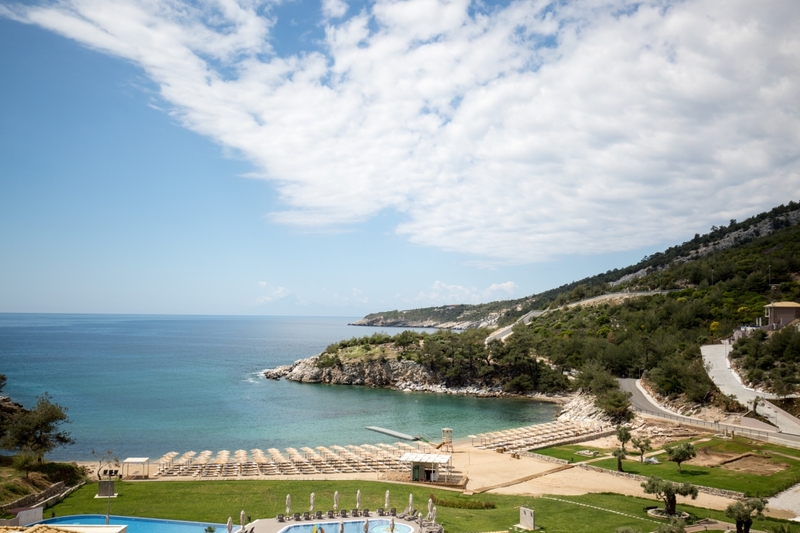 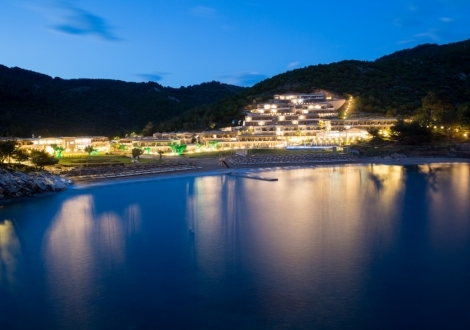 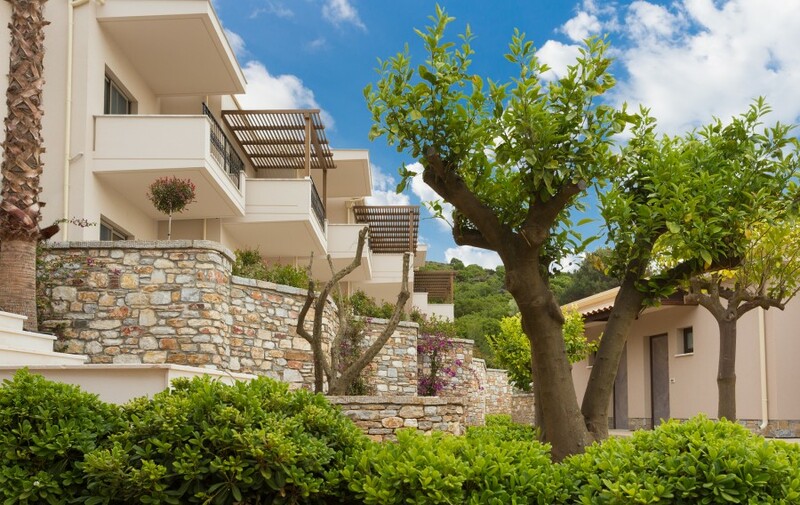 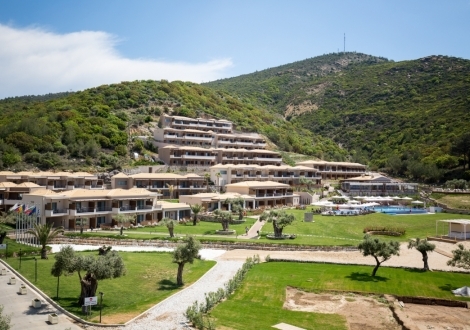 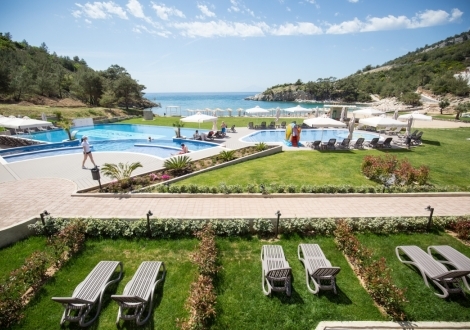 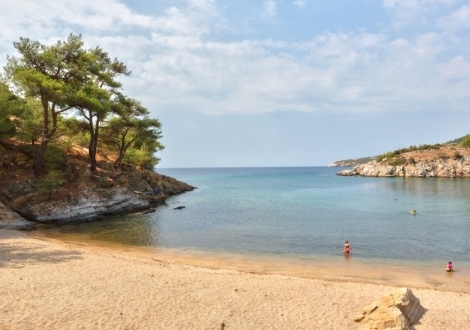 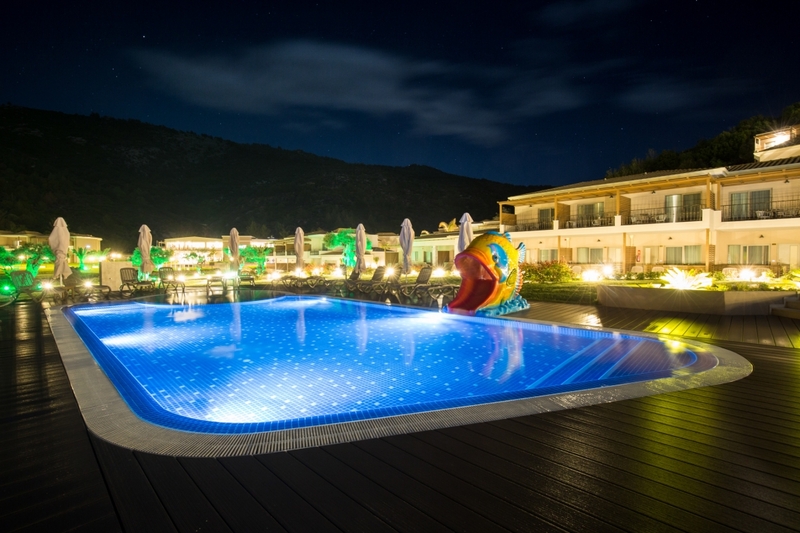 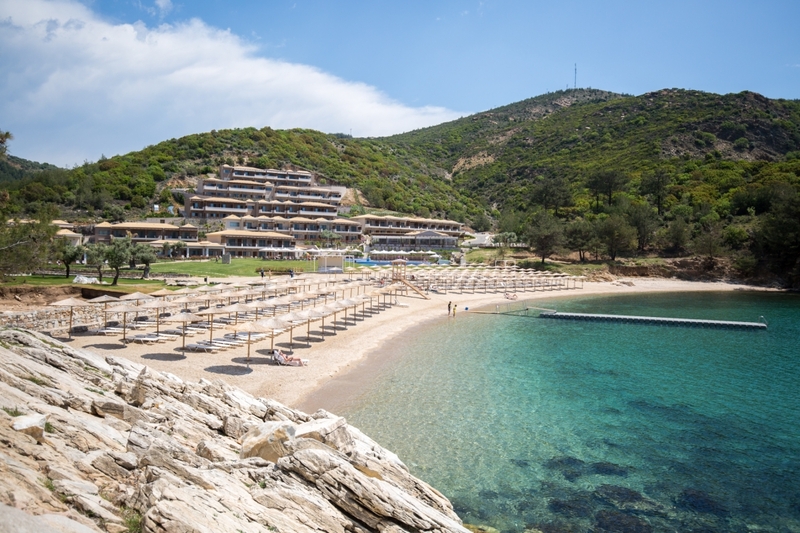 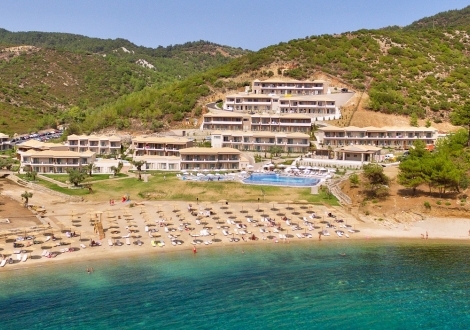 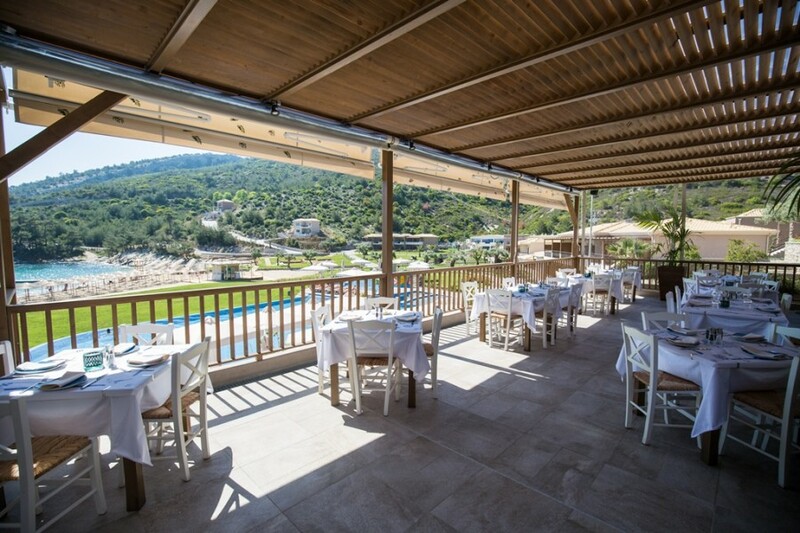 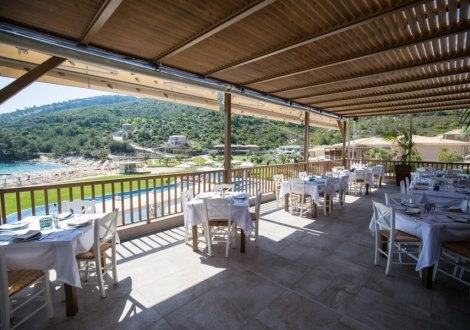 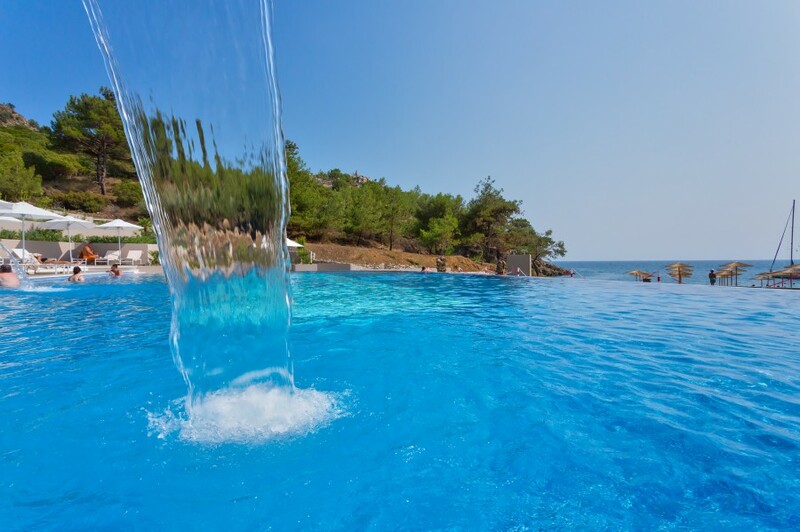 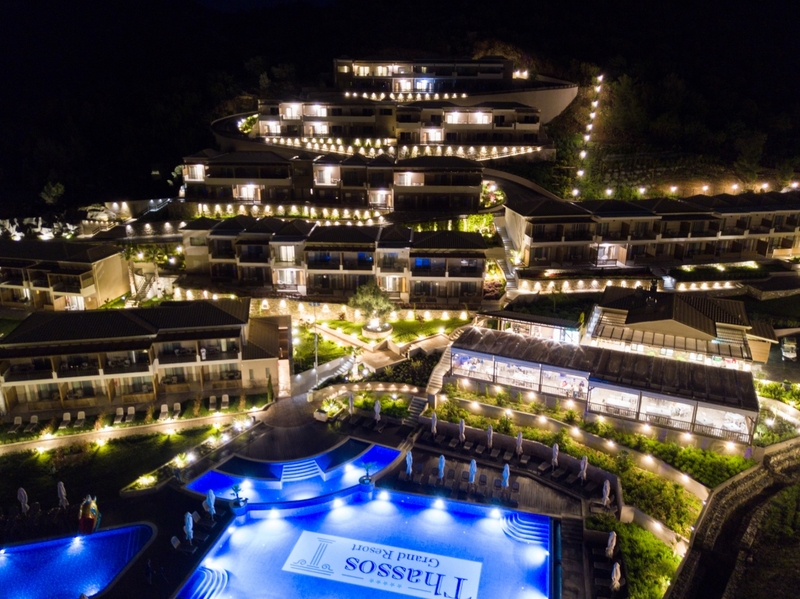 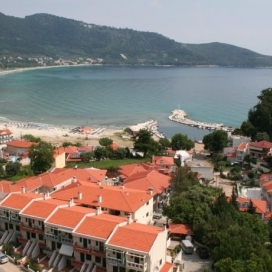 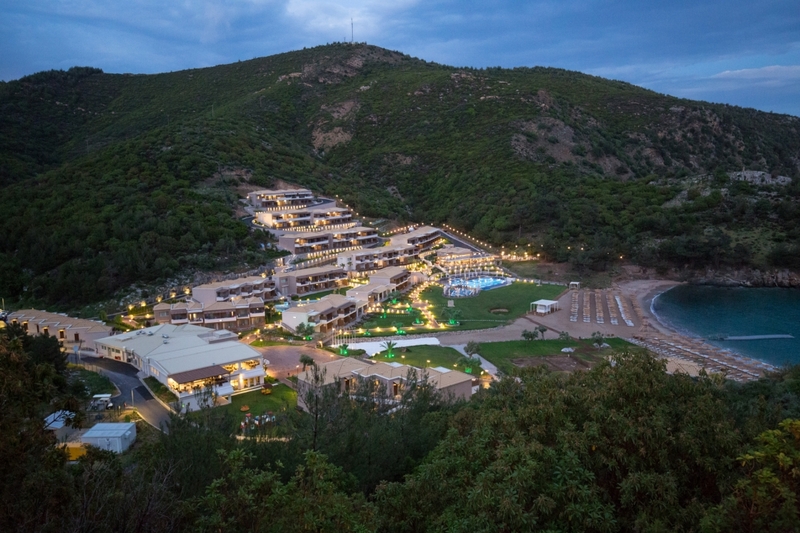 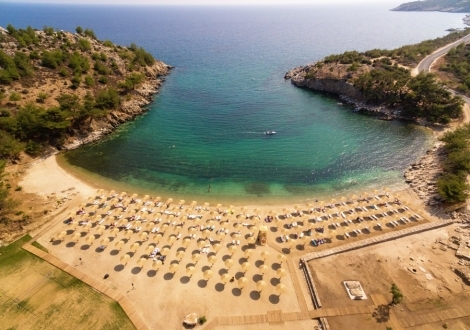 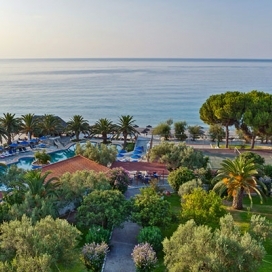 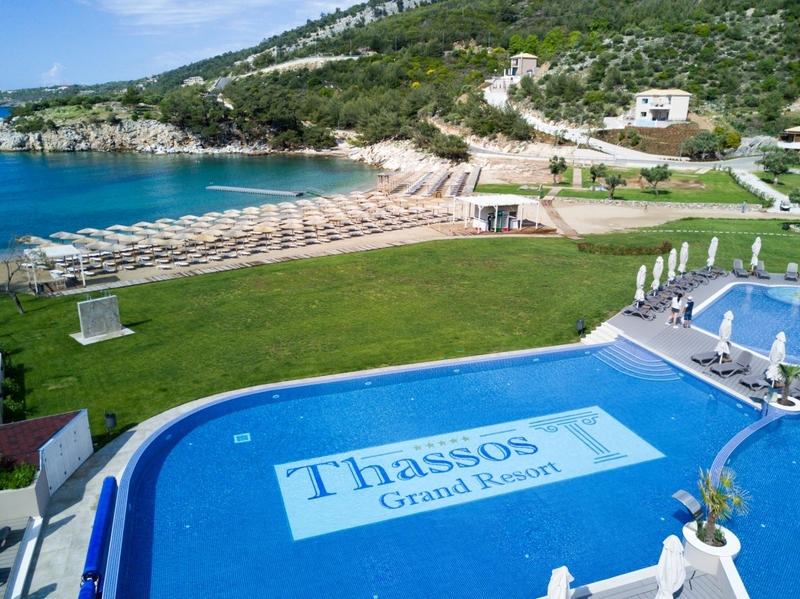 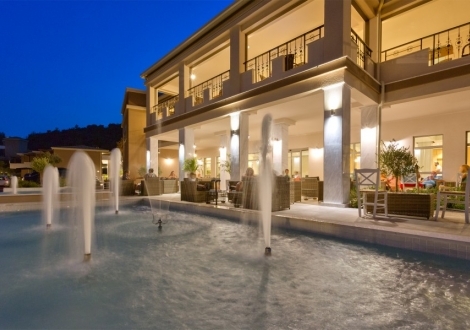 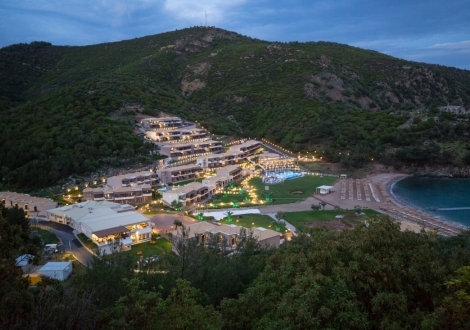 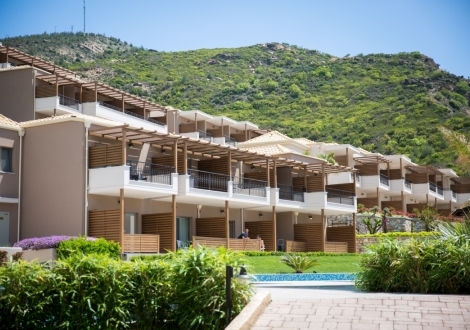 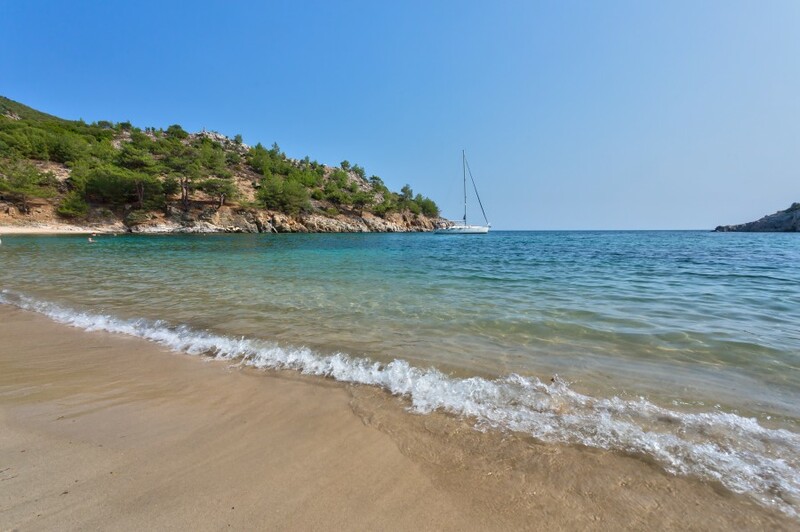 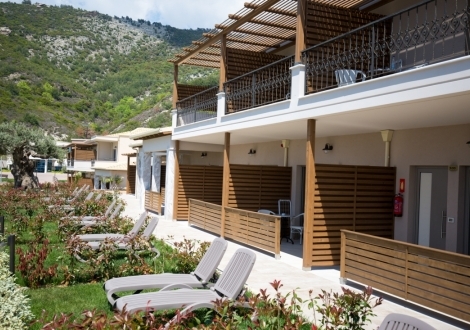 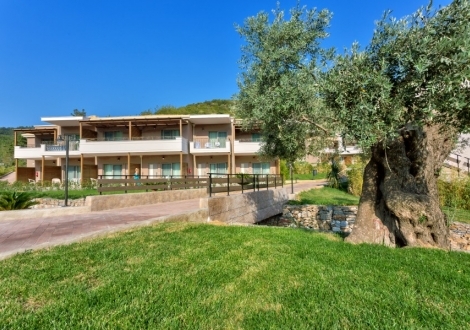 Почивка в Thassos Grand Resort, о. Тасос, на цена от 50.30 лв. 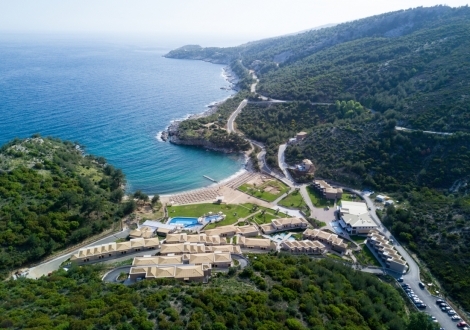 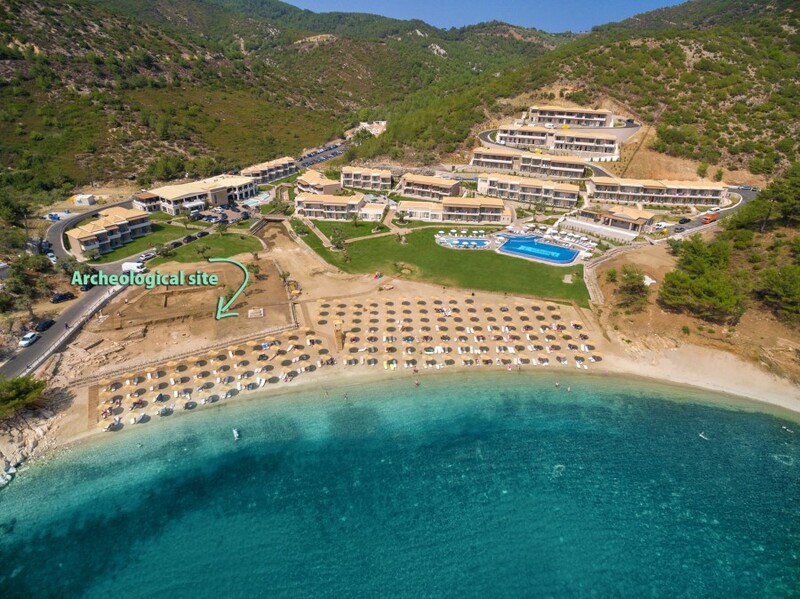 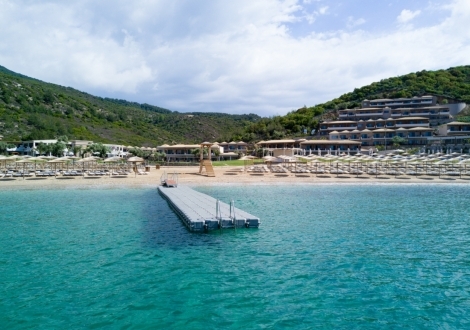 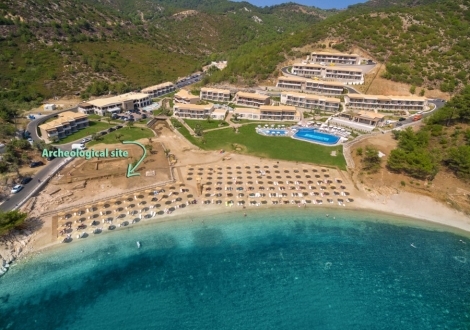 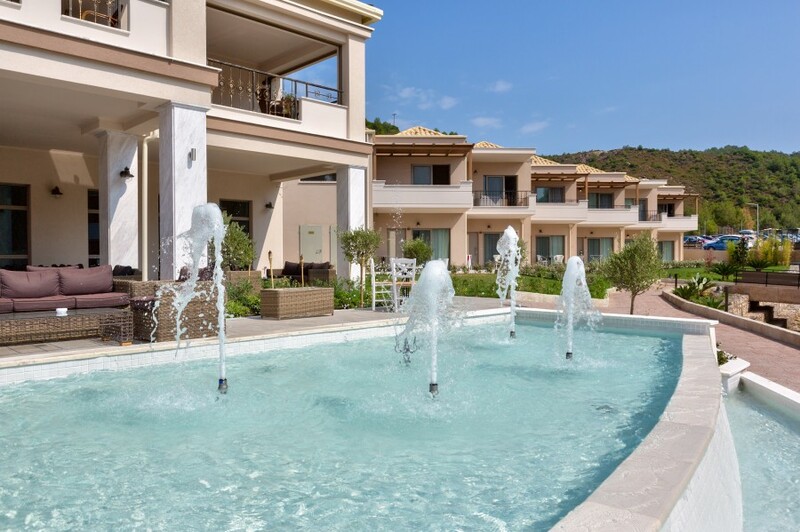 This luxury resort hotel is in a spectacular coastal location and it offers 167 double rooms and 12 suites, situated in 14 buildings. 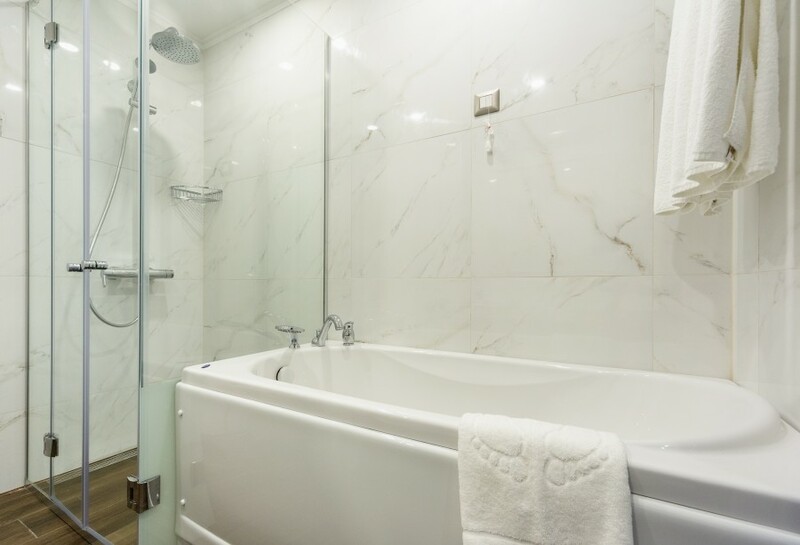 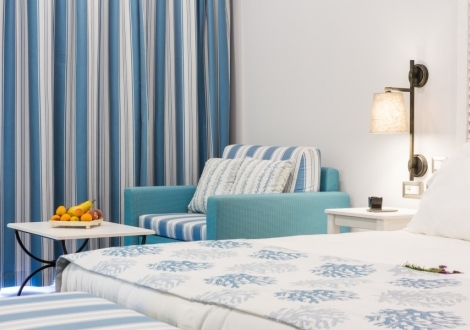 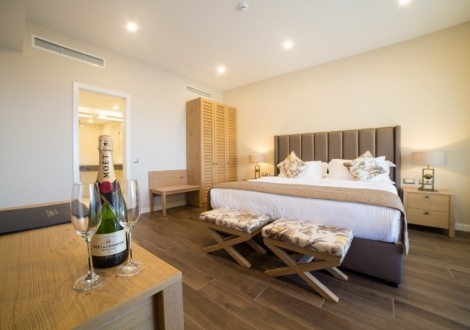 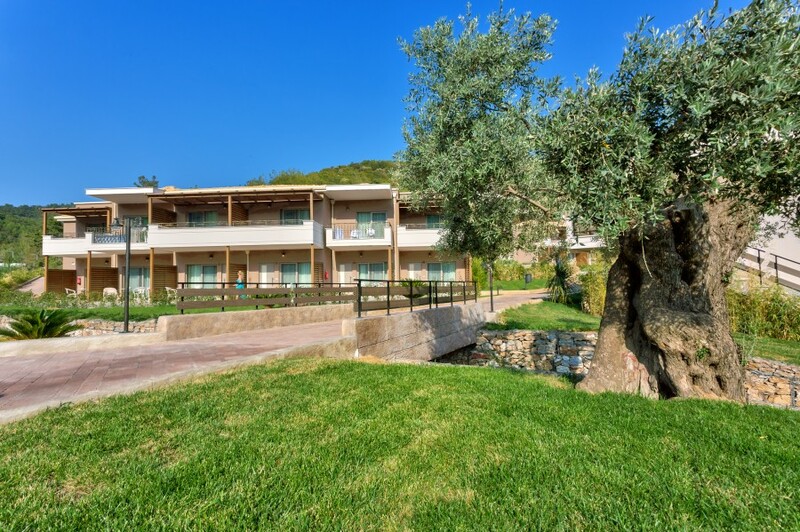 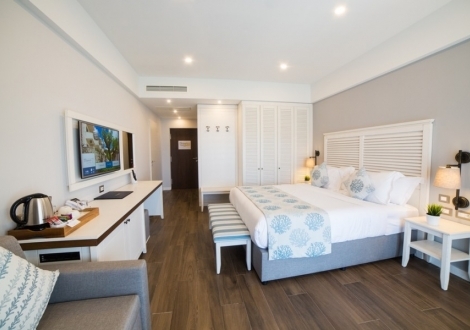 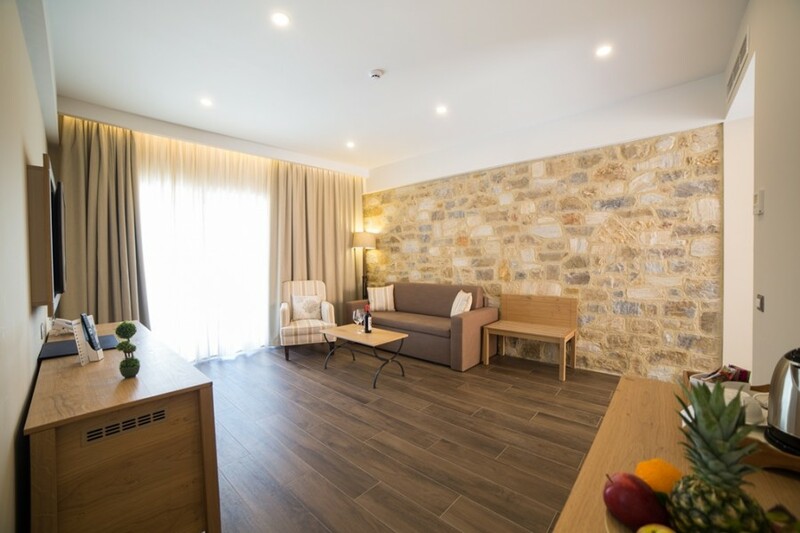 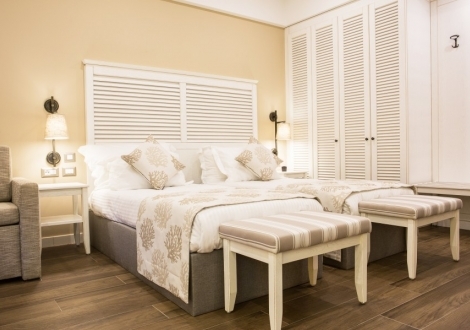 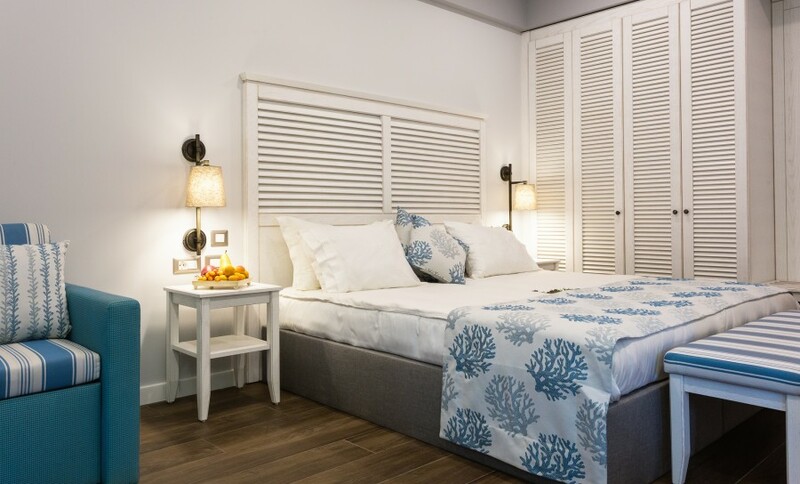 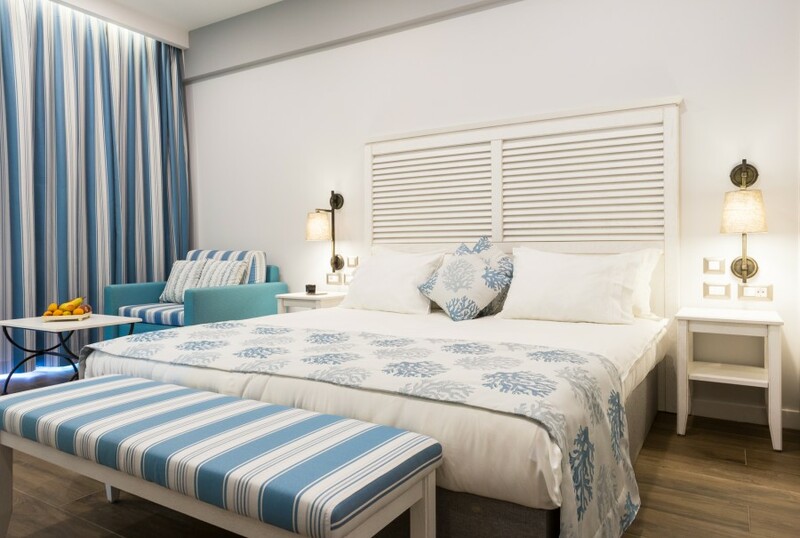 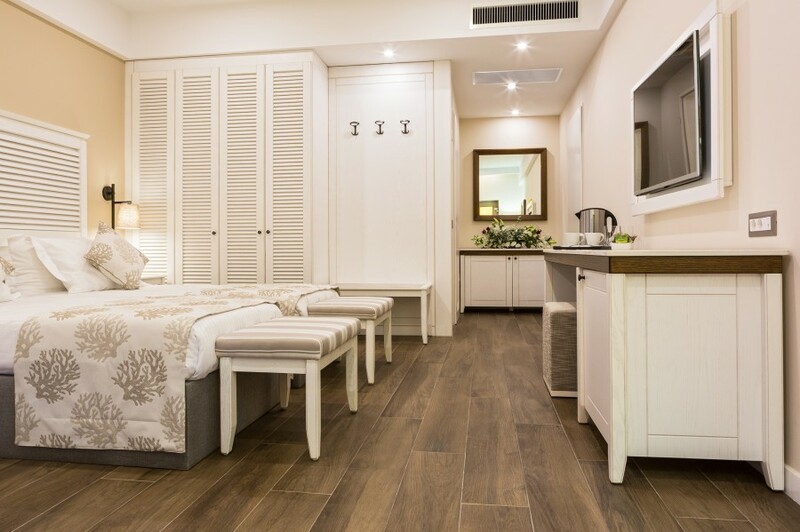 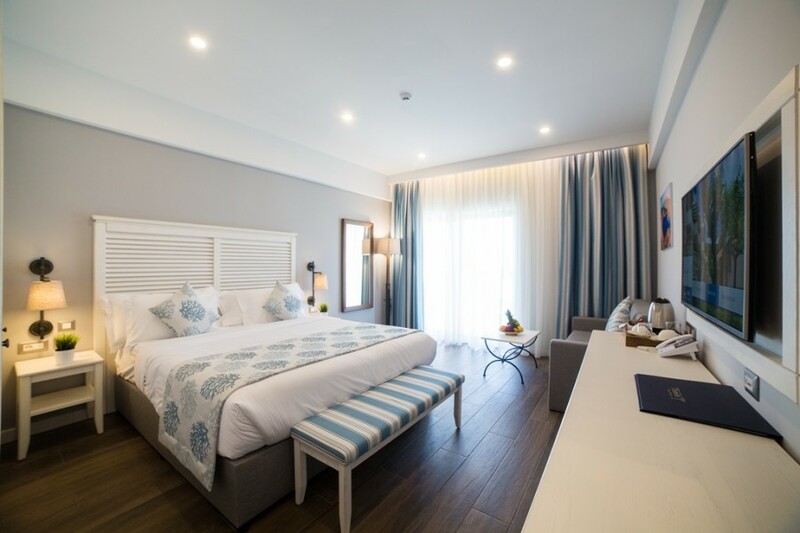 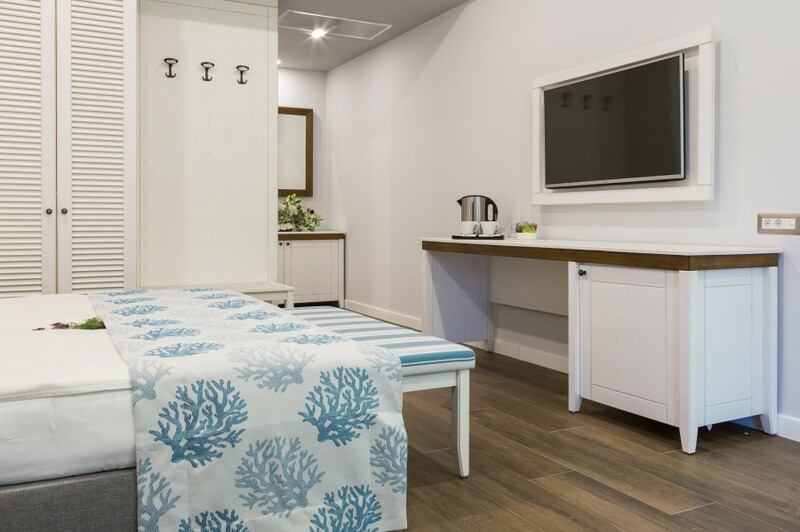 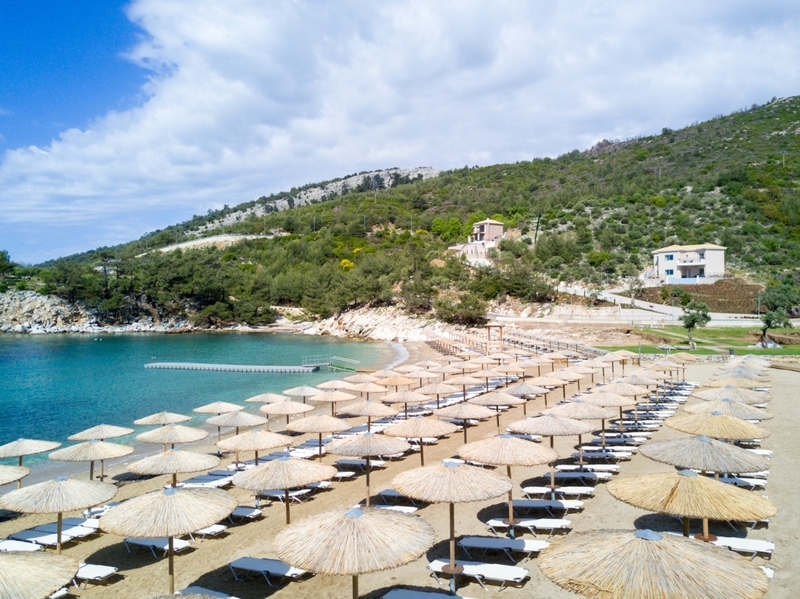 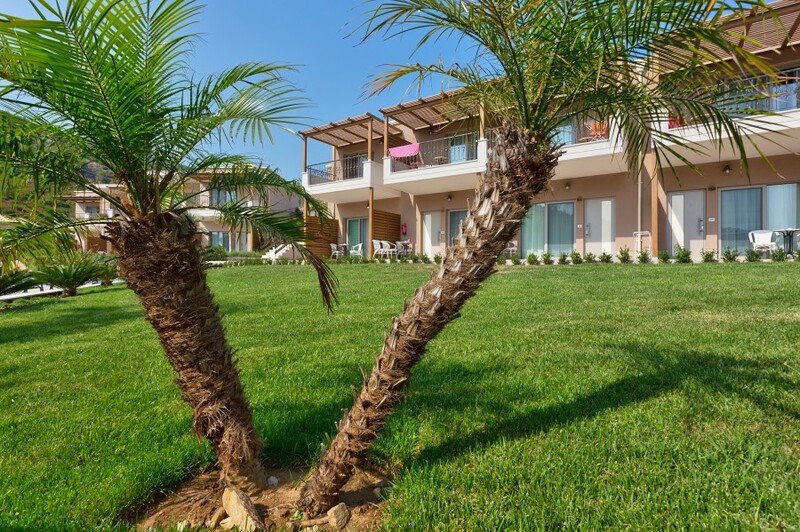 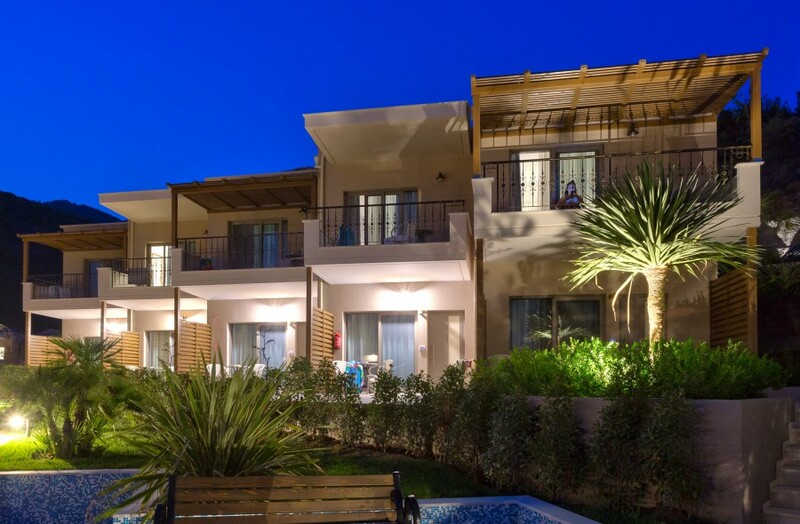 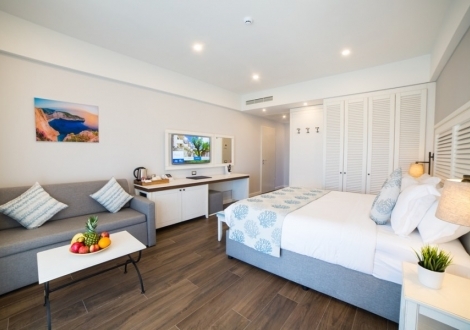 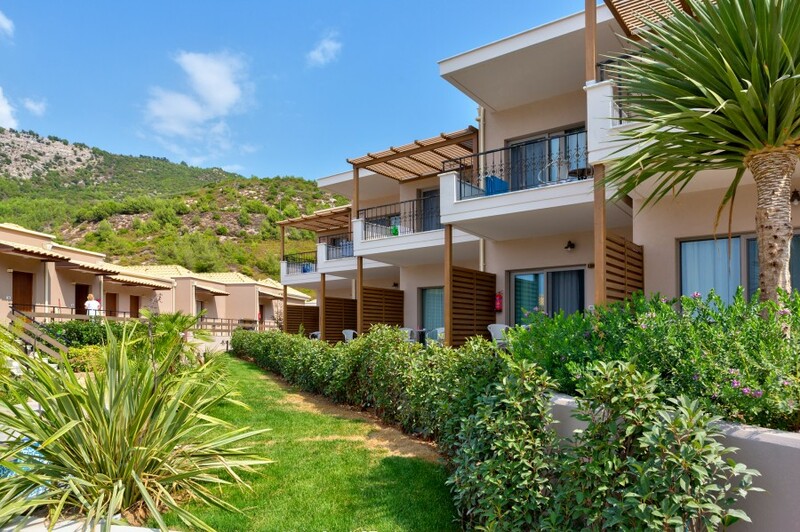 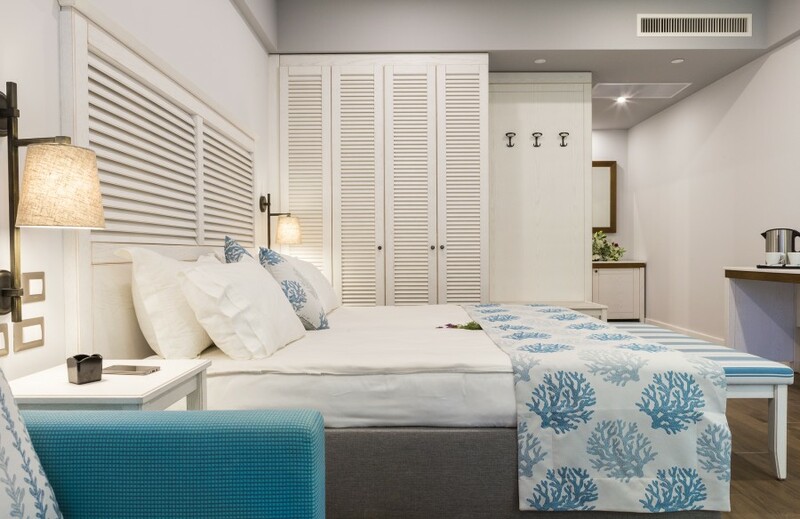 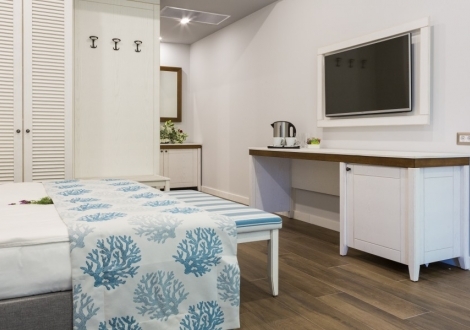 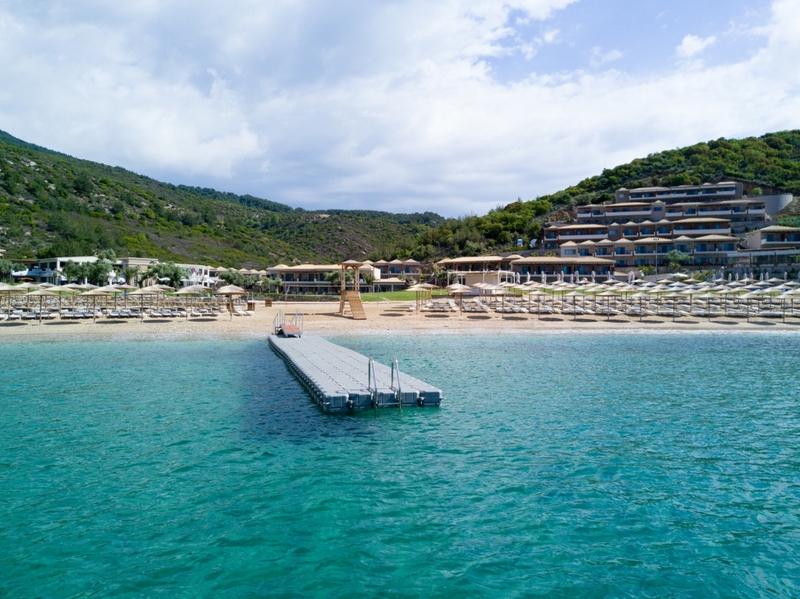 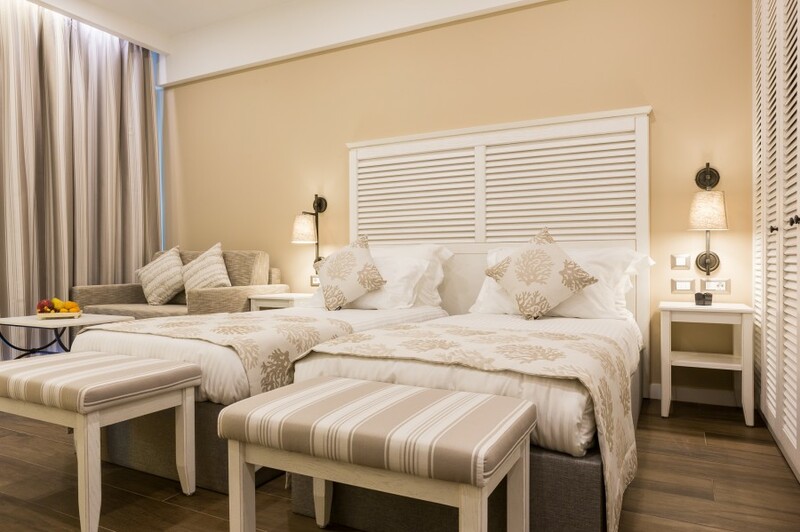 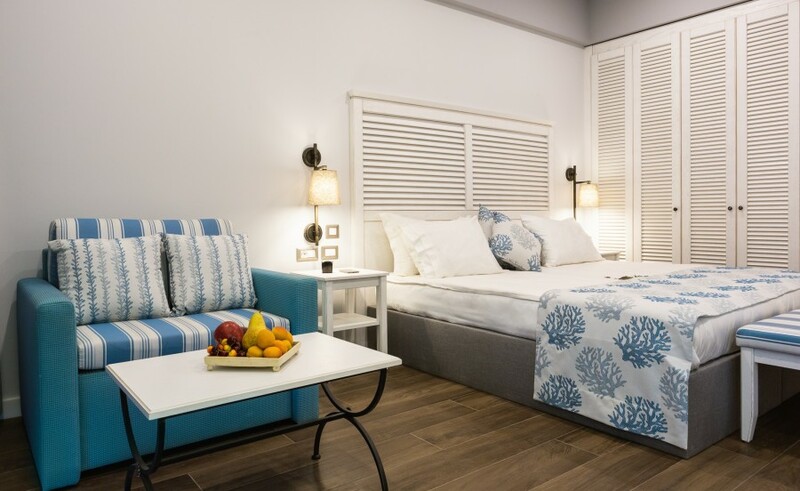 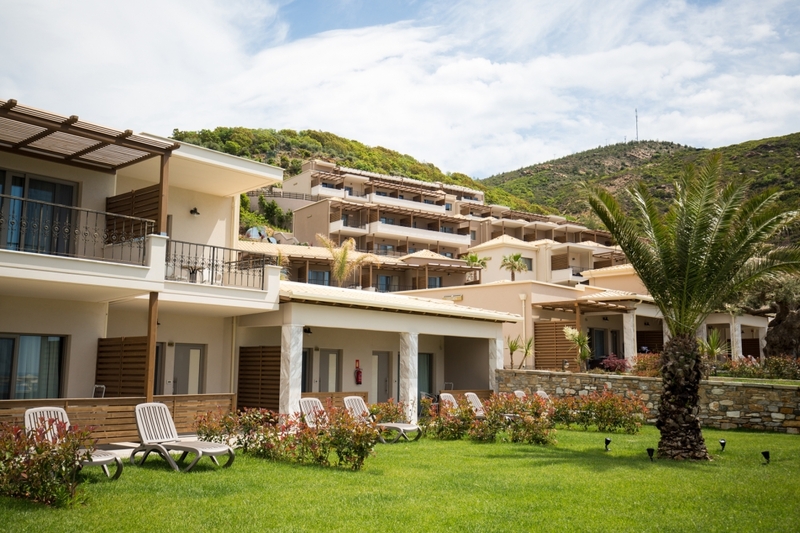 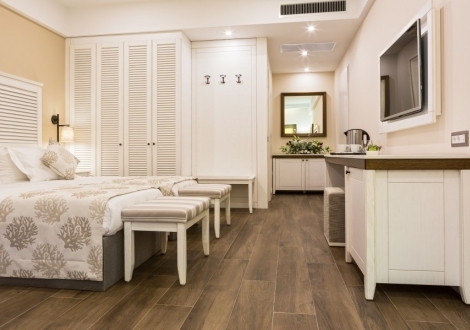 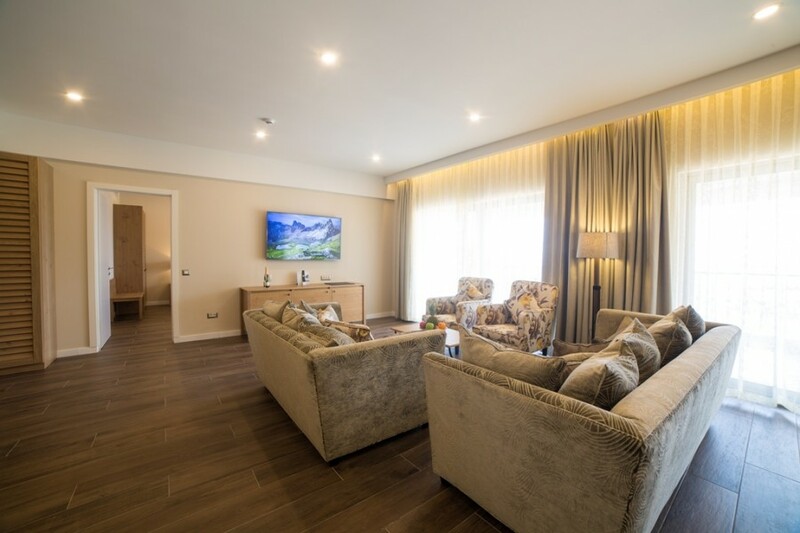 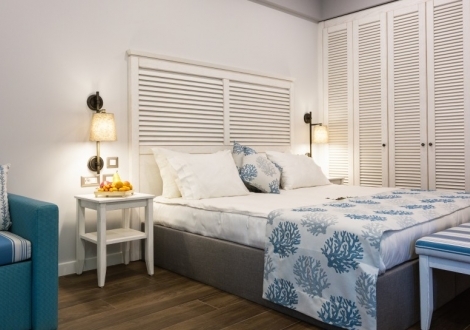 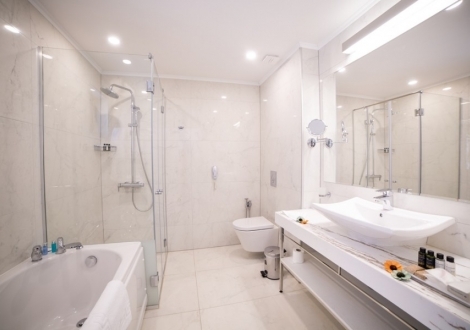 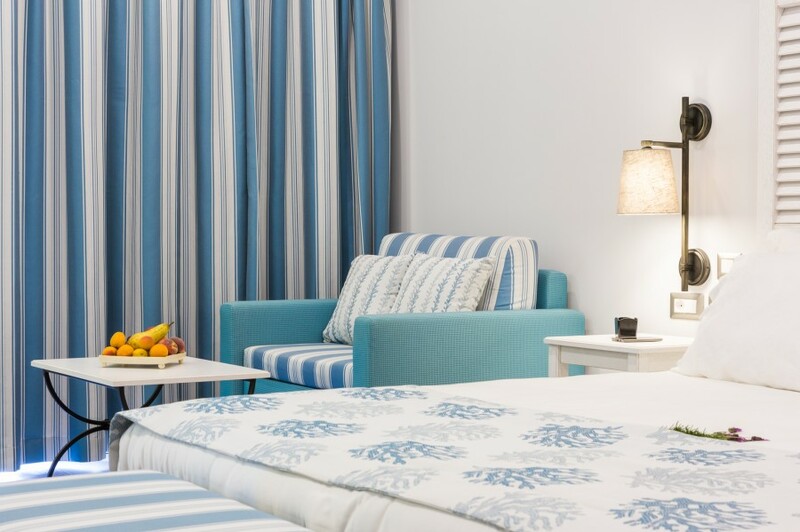 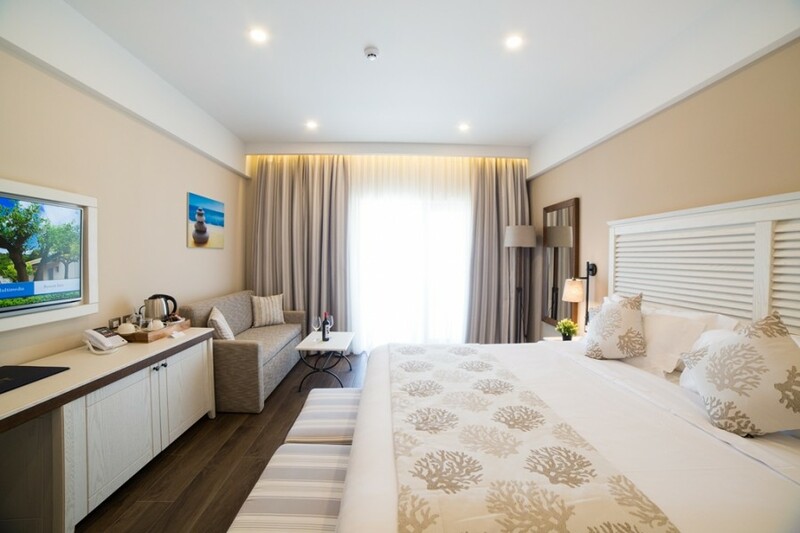 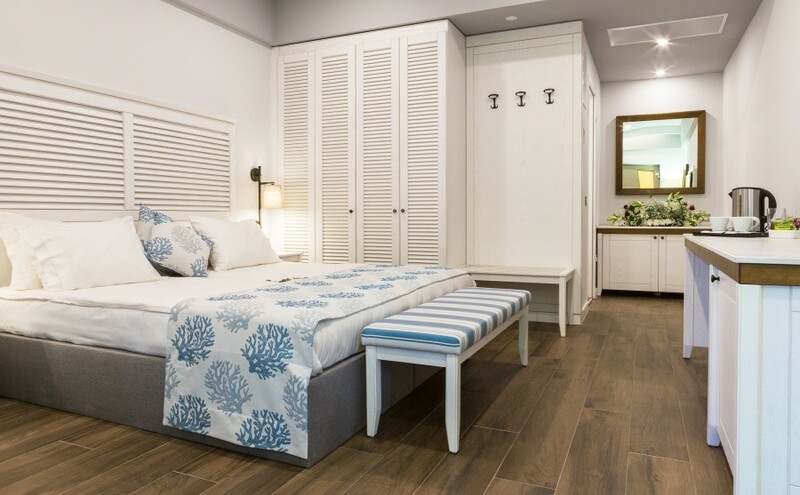 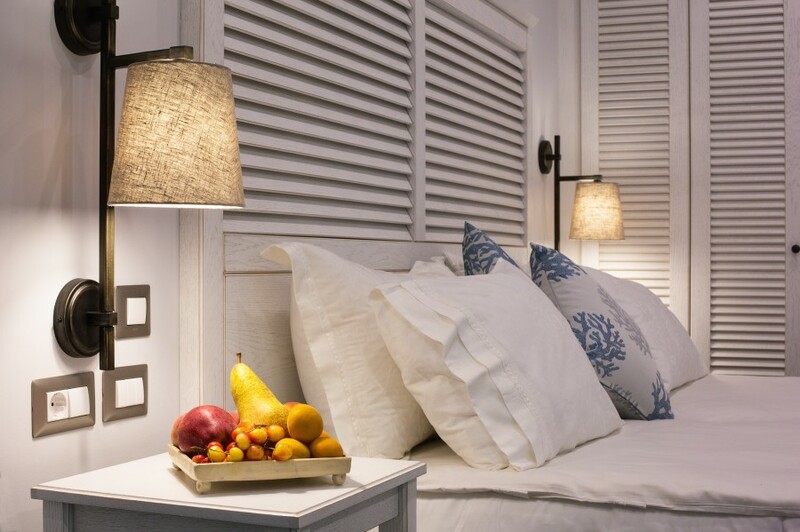 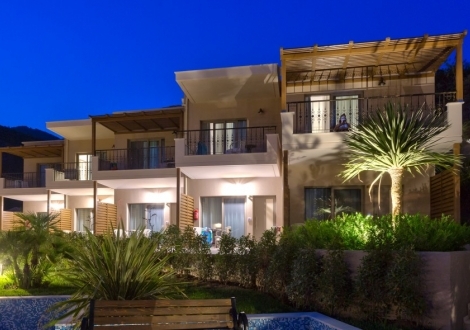 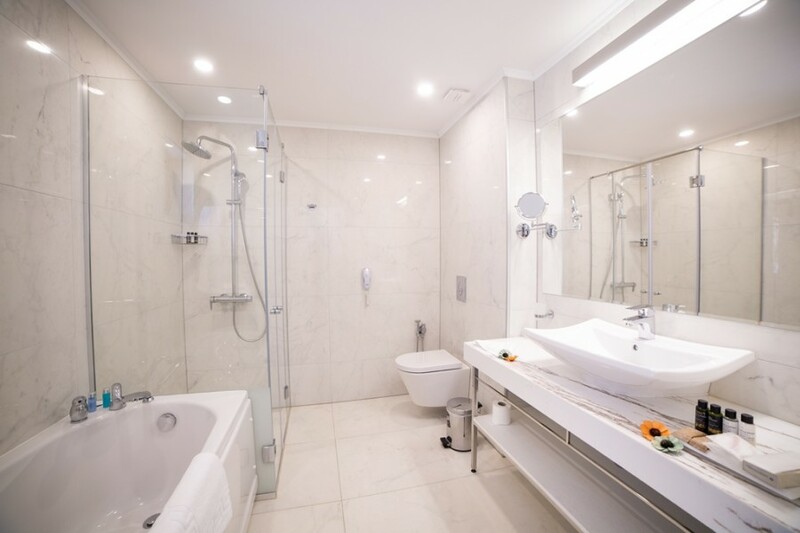 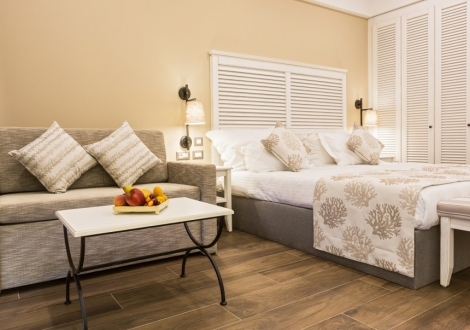 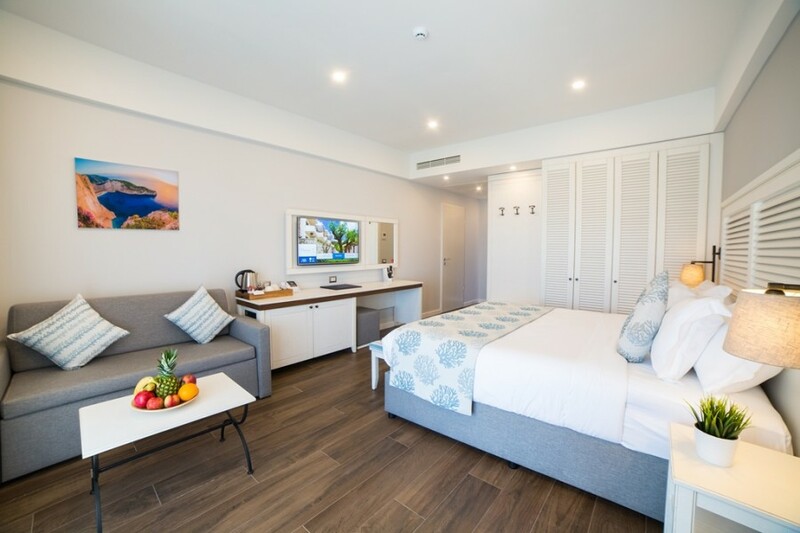 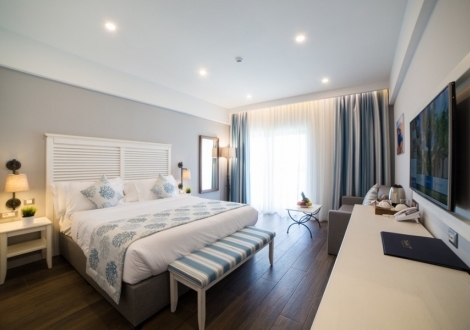 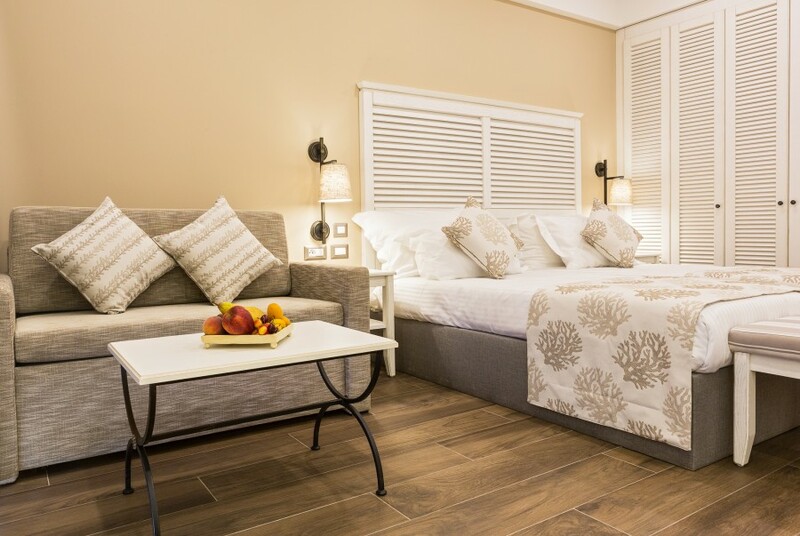 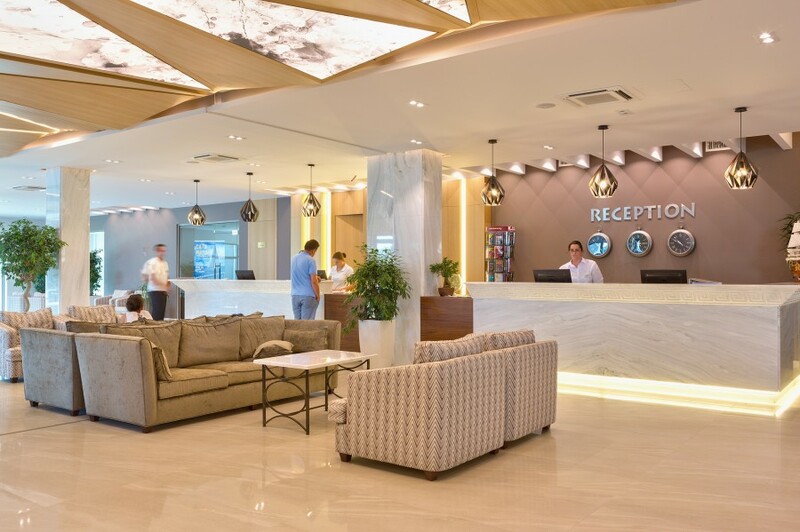 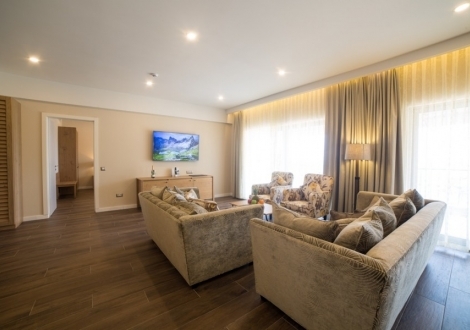 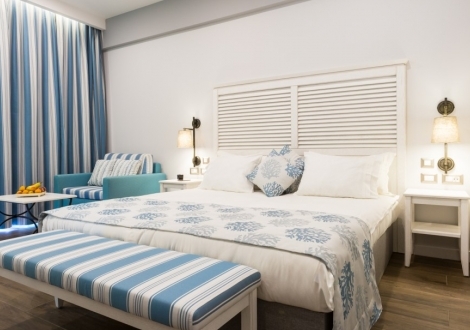 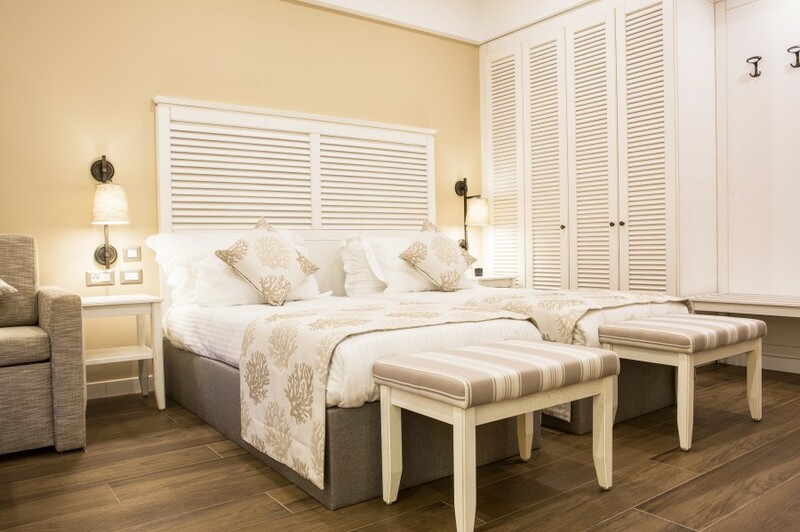 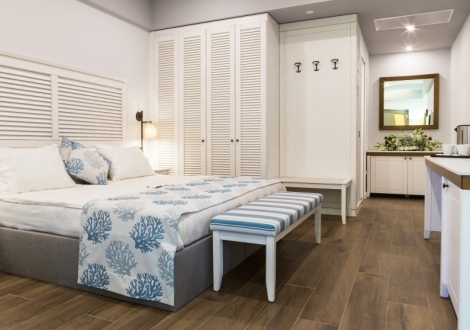 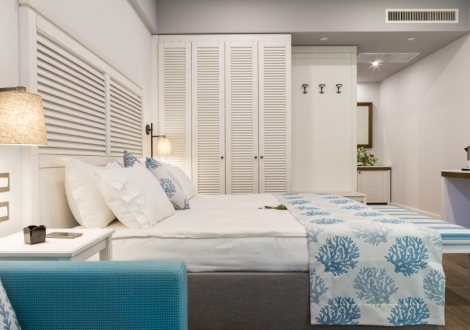 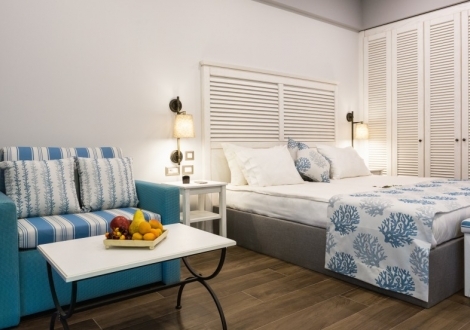 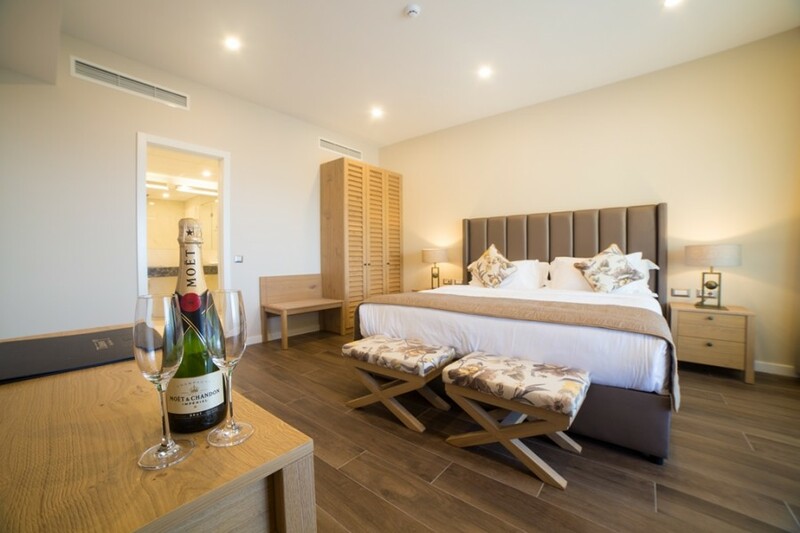 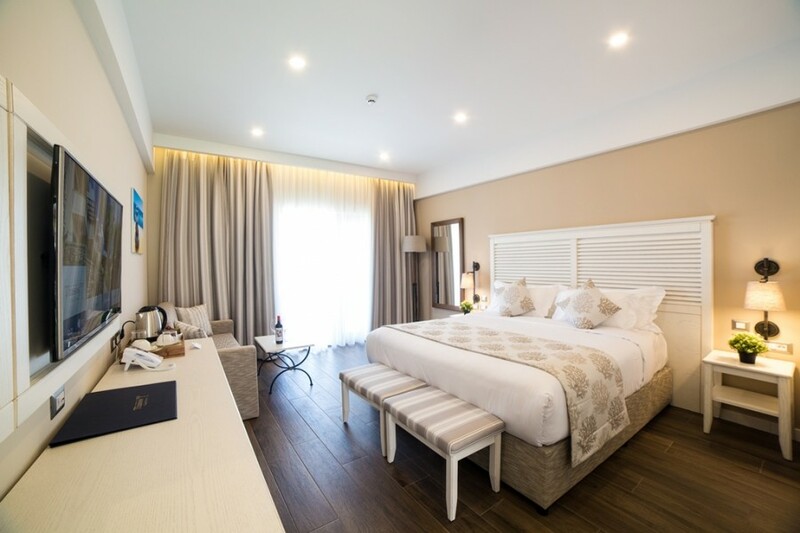 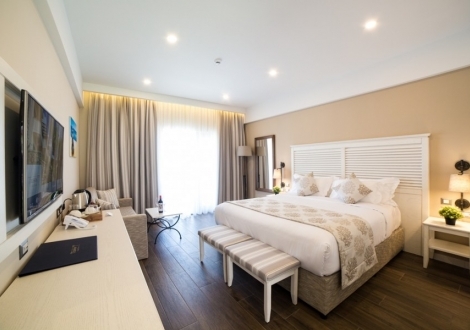 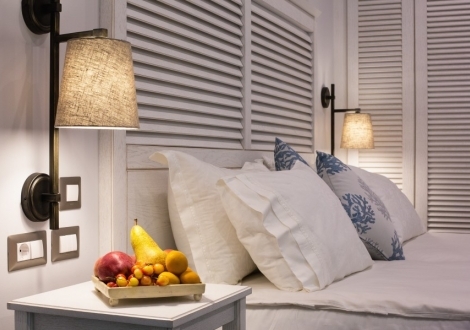 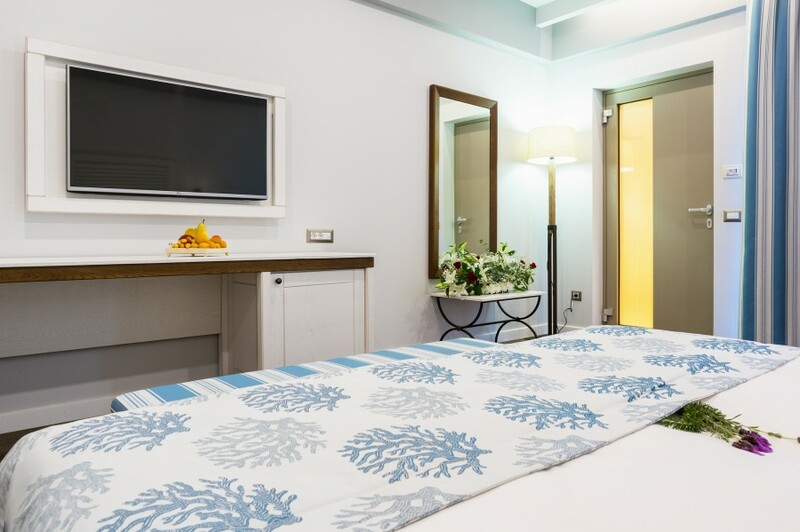 All rooms and suites are equipped with a spectacular sea facing balcony and en-suite bathroom, the latest intelligent technology, state of the art flat screen TVs, wireless broadband Internet connection and much, much more. 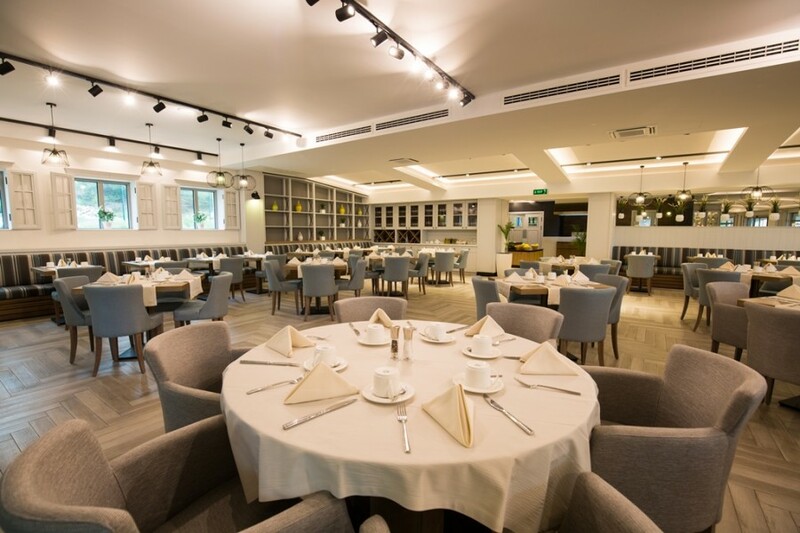 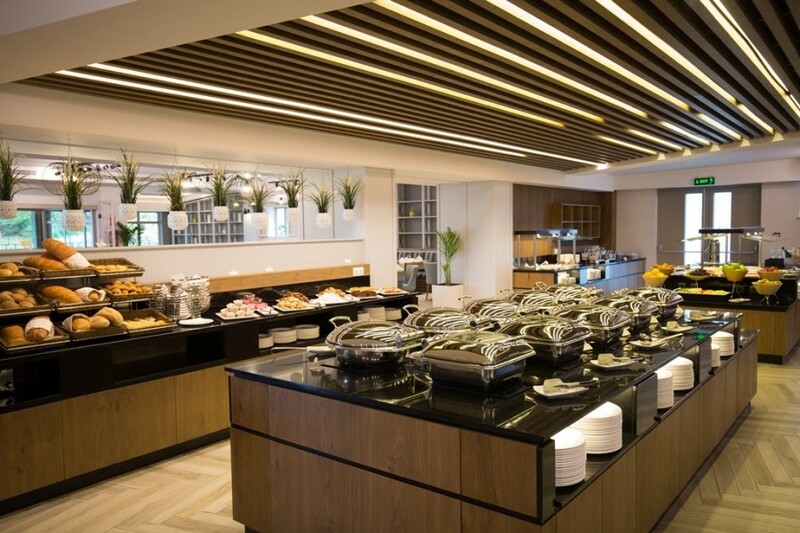 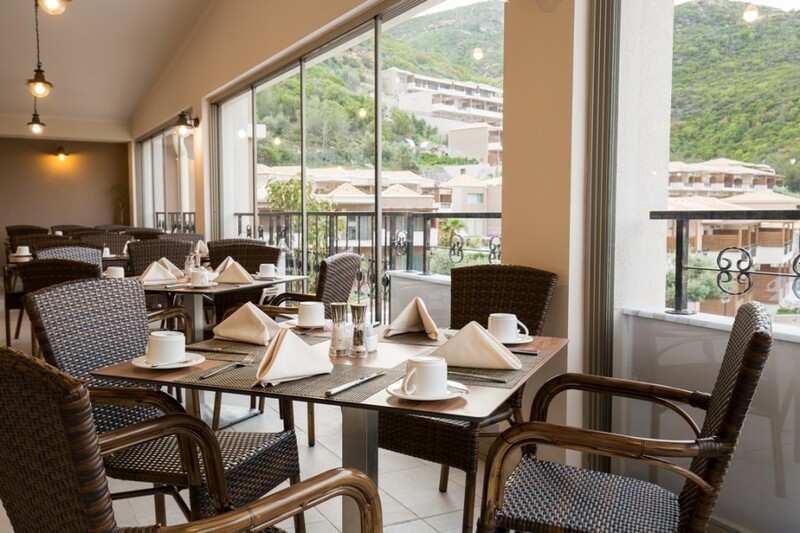 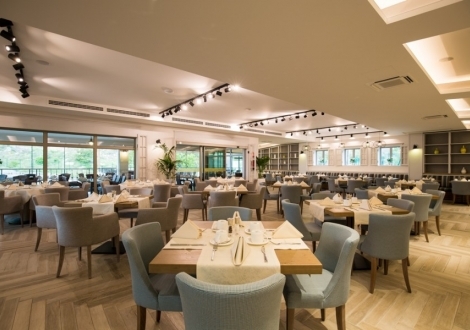 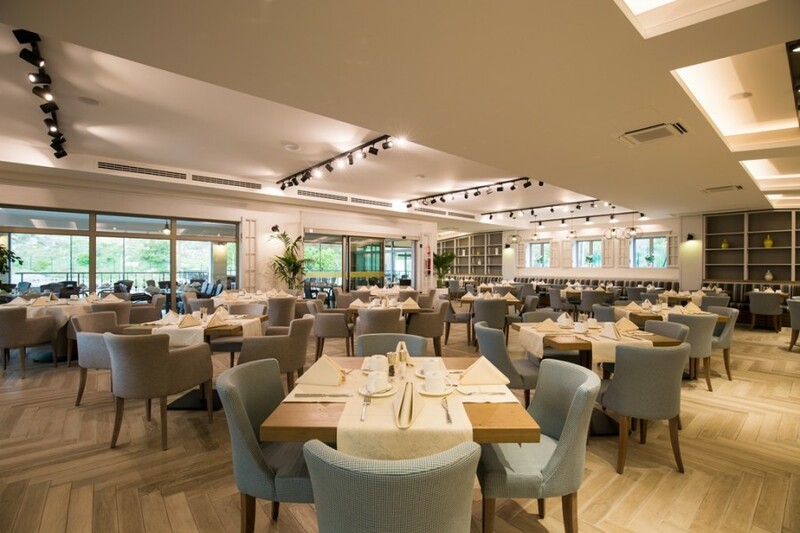 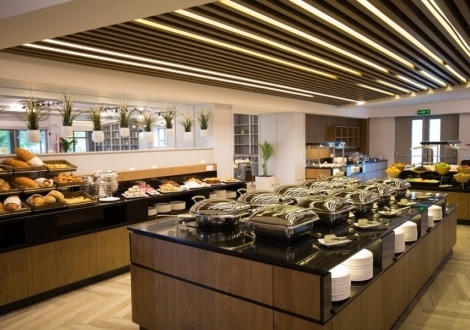 The restaurant is located in the hotel main building, where also breakfast is served. 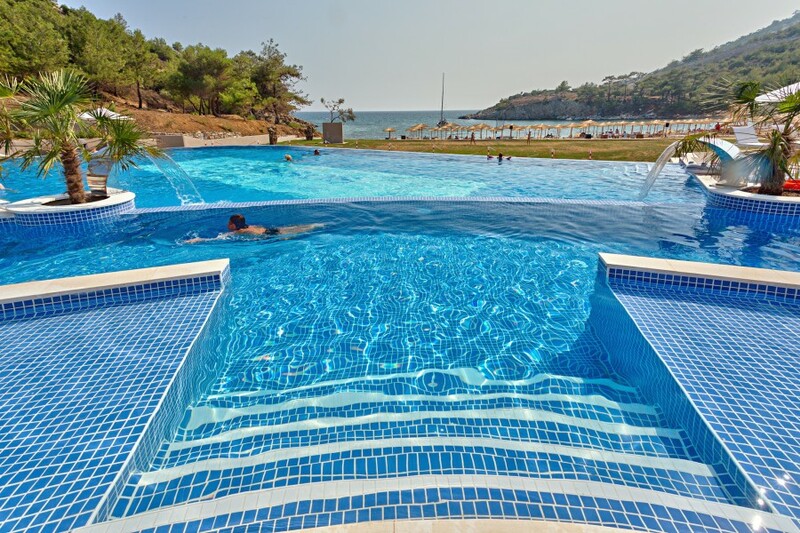 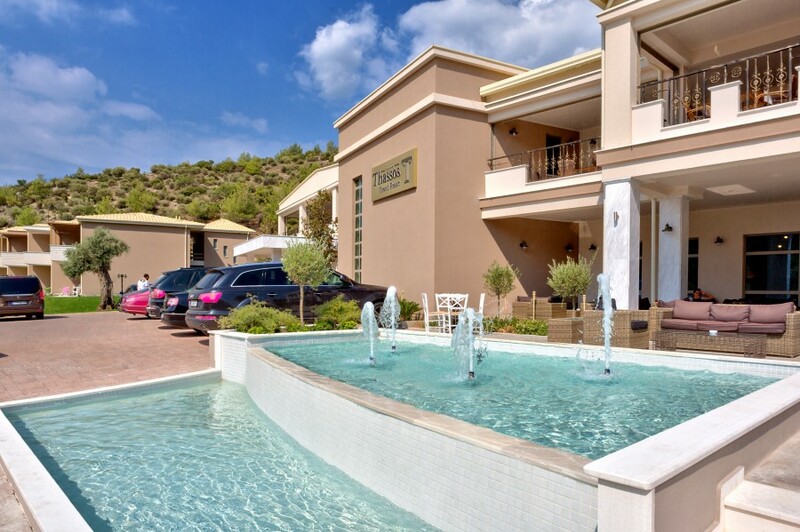 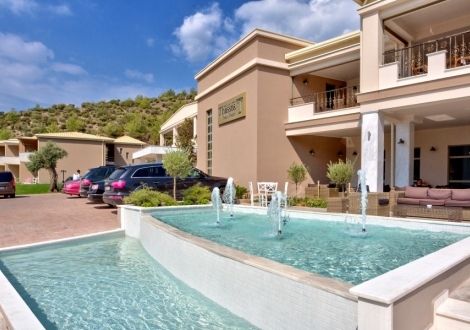 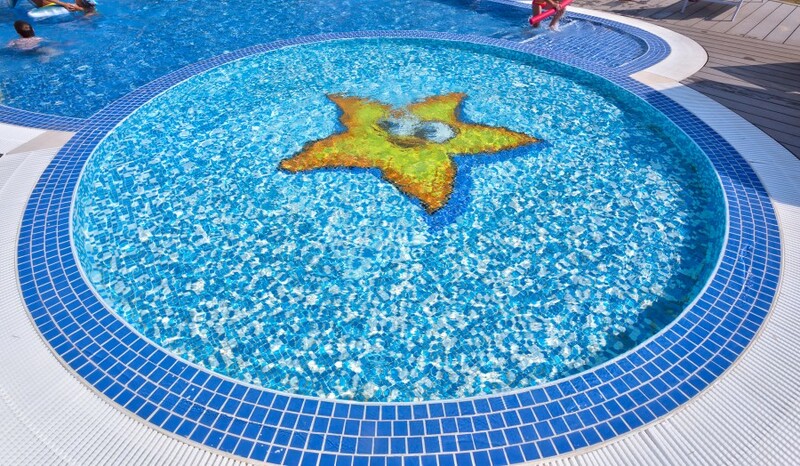 The hotel offers also 4 outdoor pools. 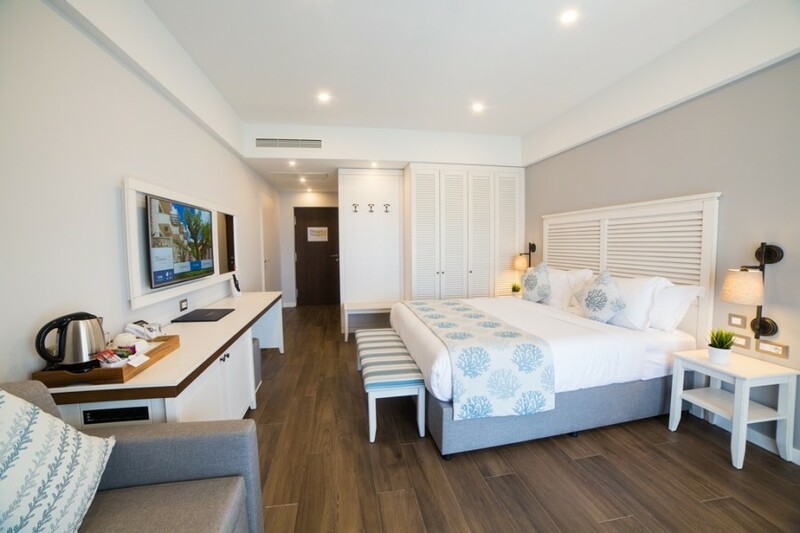 Remarks: the superior sea view rooms are not situated right at the sea front, but due to the specific landscape of the bay, they offer a magnificent view towards the sea. 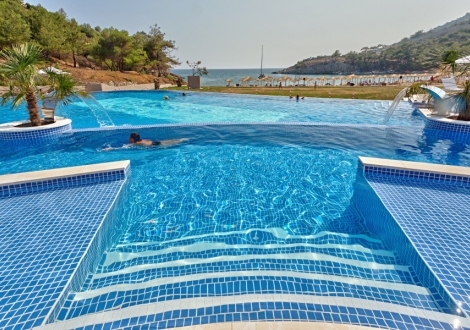 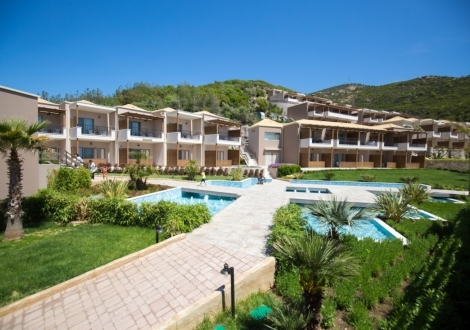 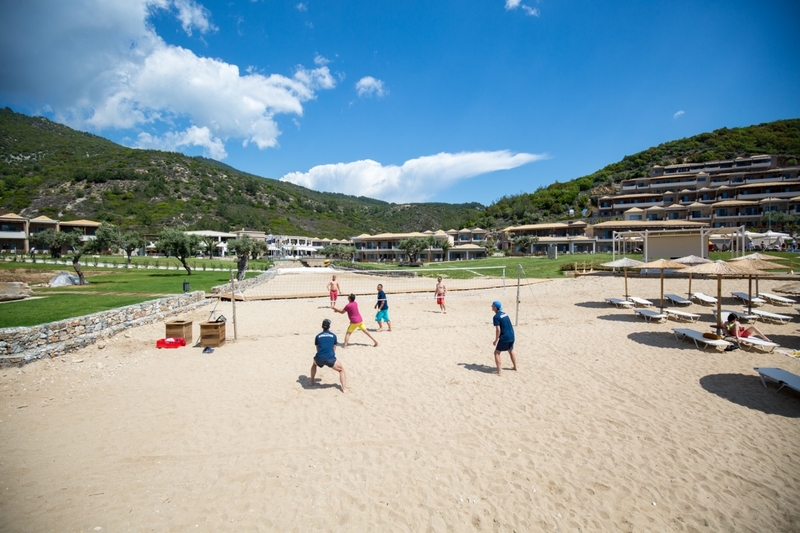 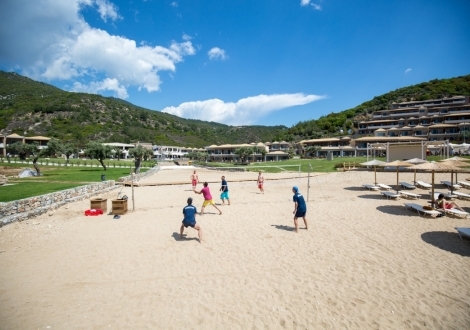 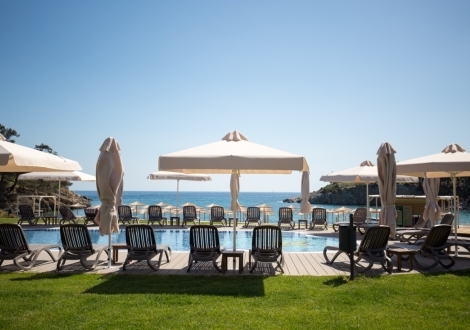 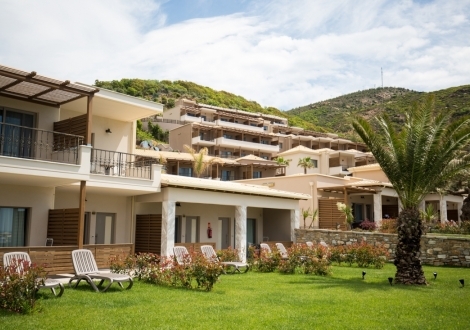 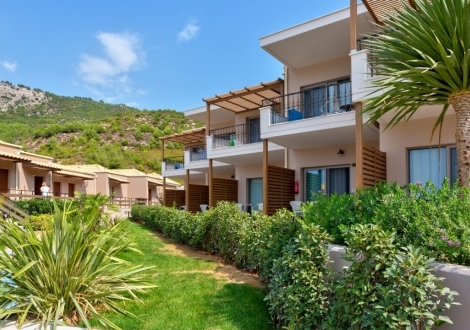 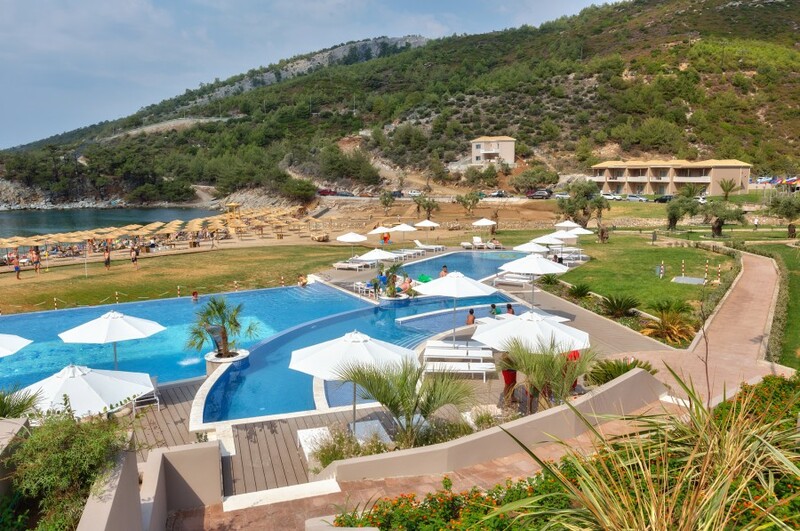 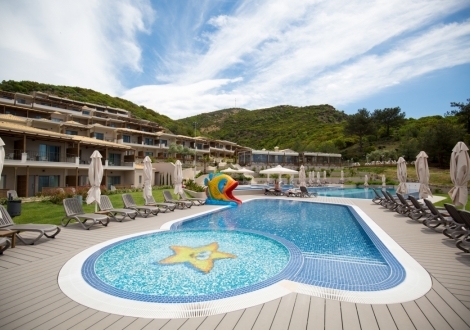 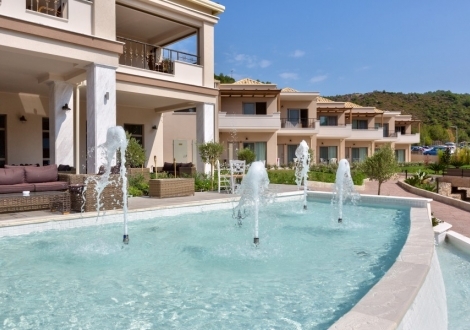 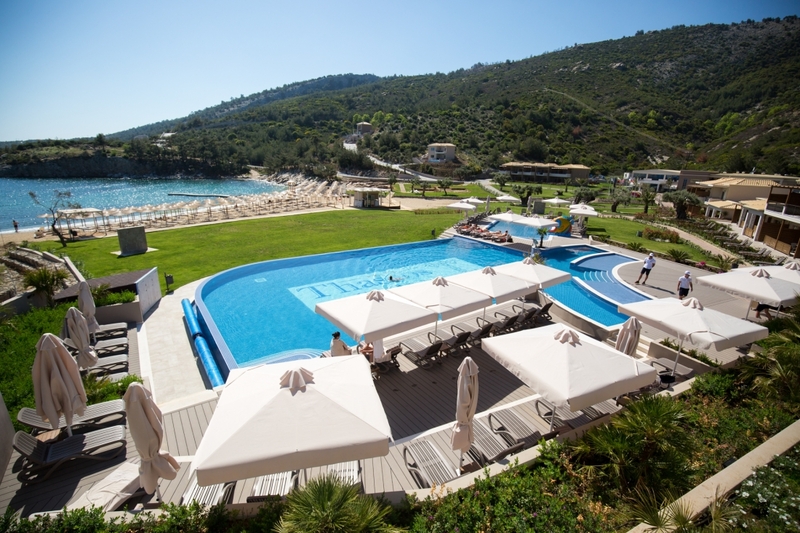 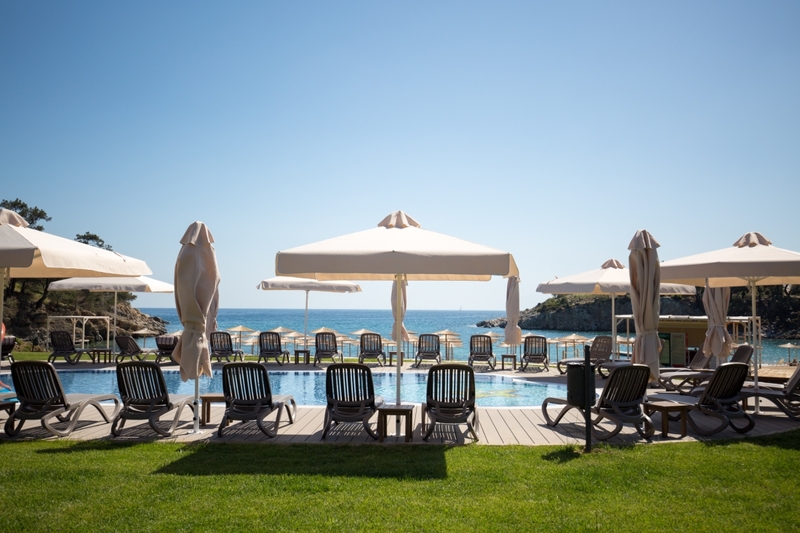 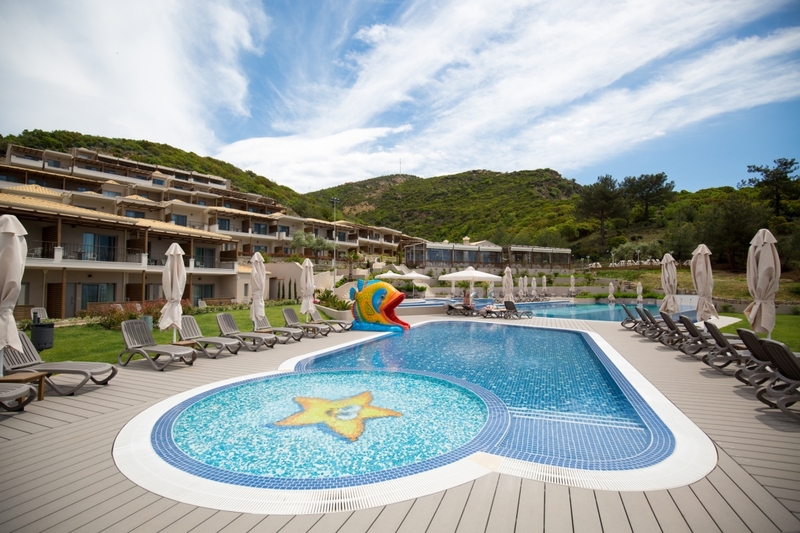 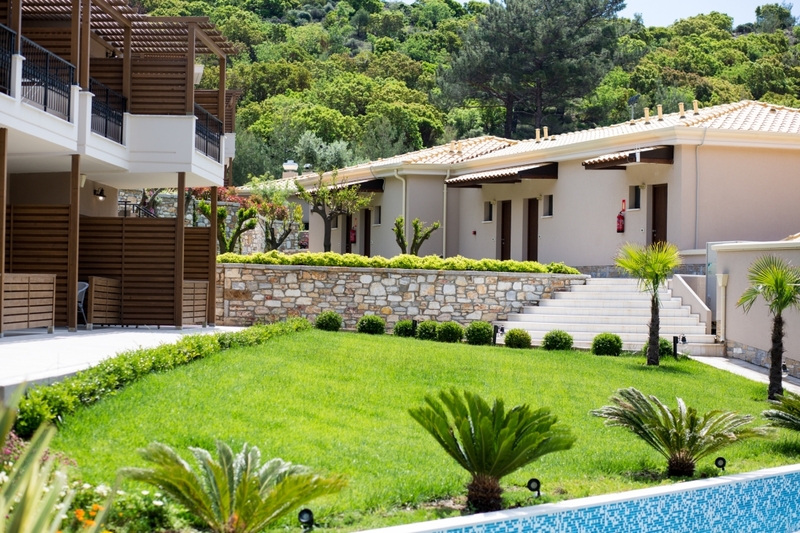 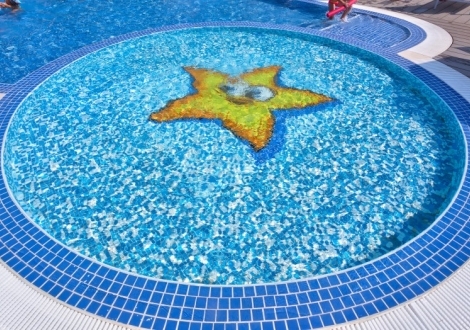 The beach and pool front sea view rooms are located on the first line on the sea or pool front. 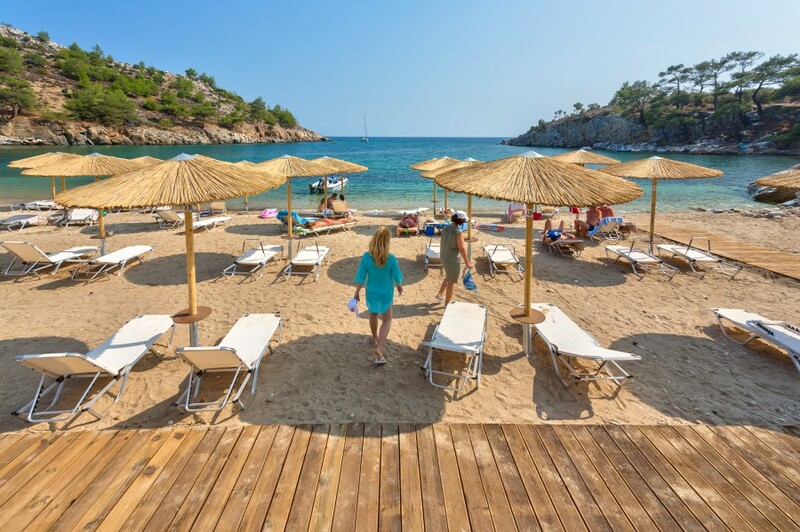 The sunbeds are free of charge on the beach.